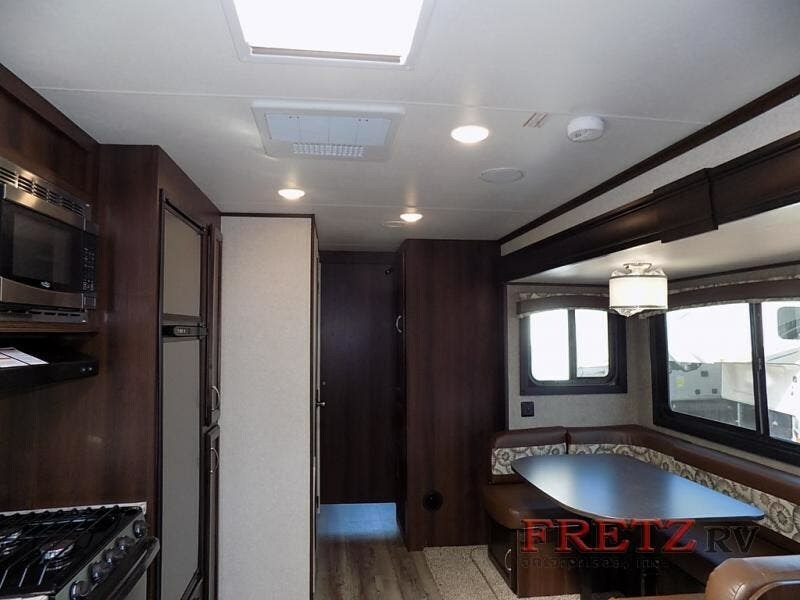 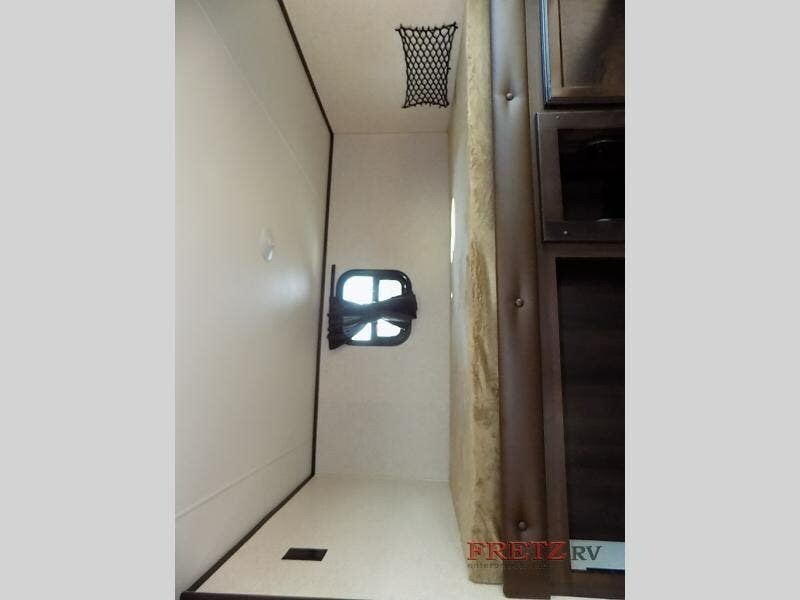 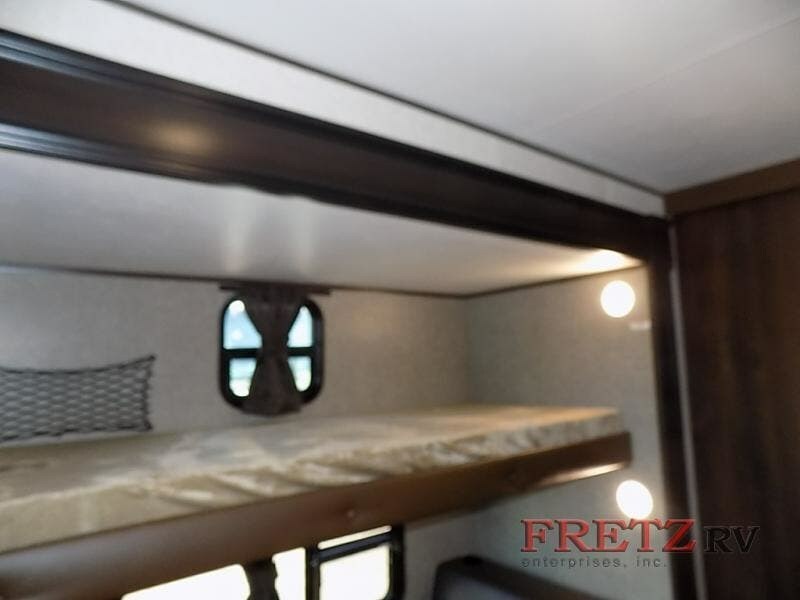 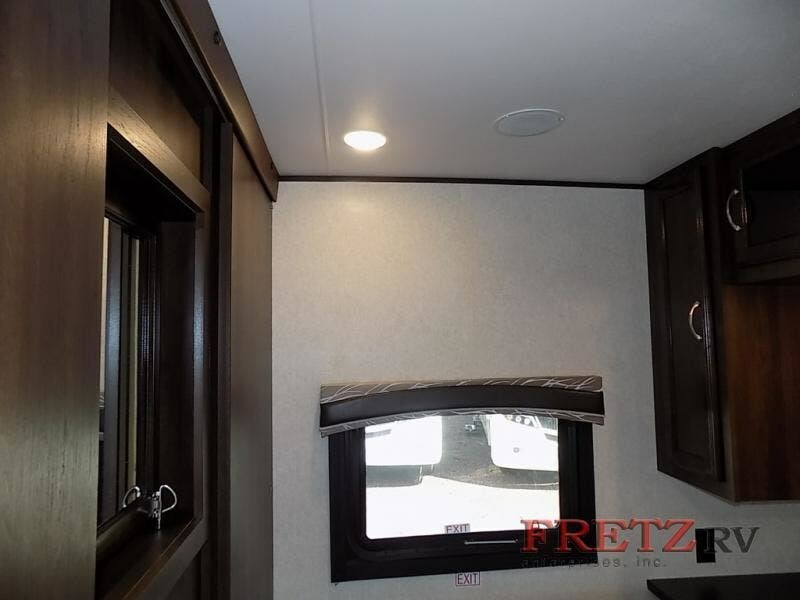 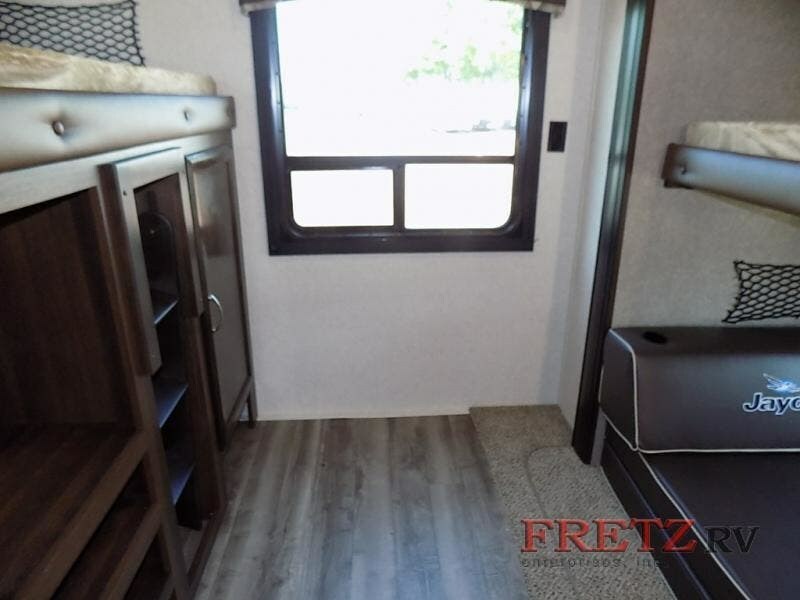 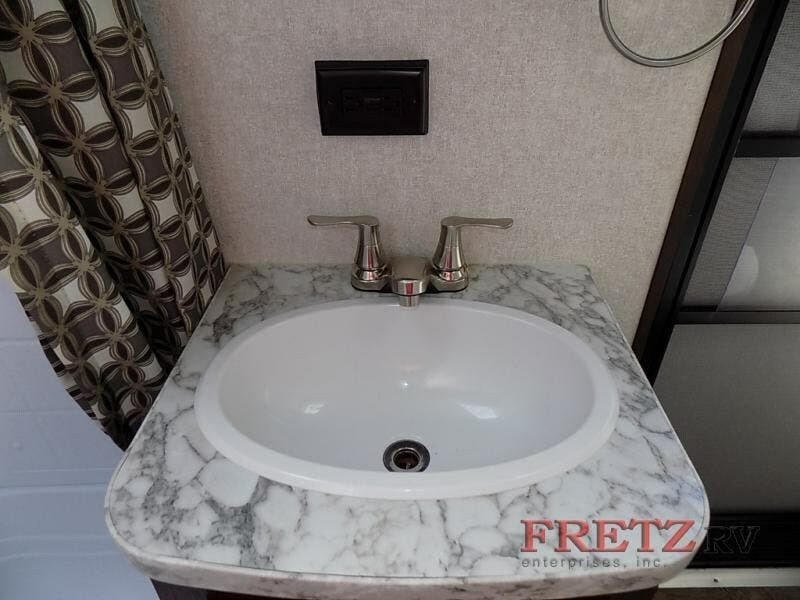 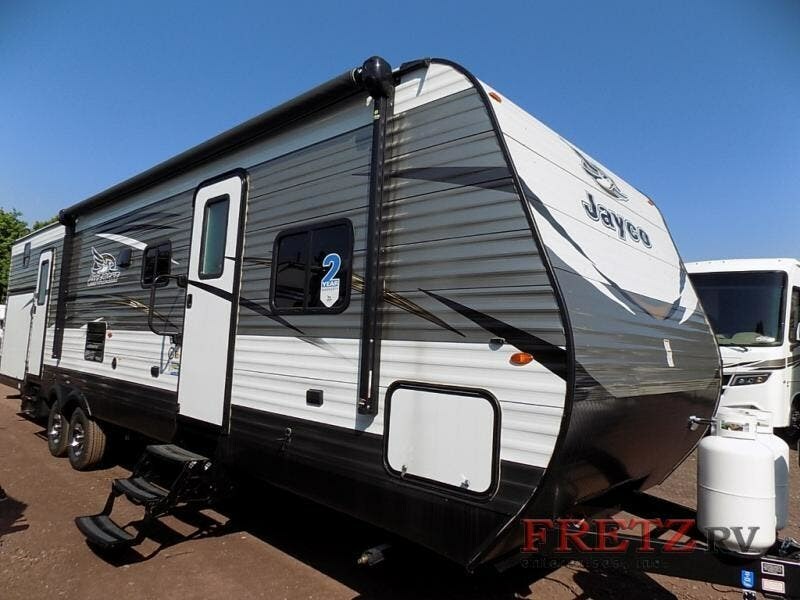 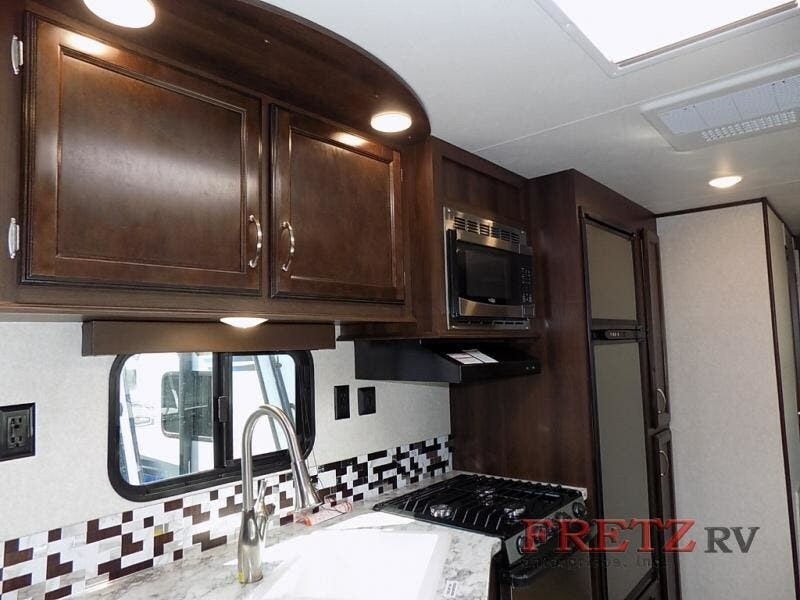 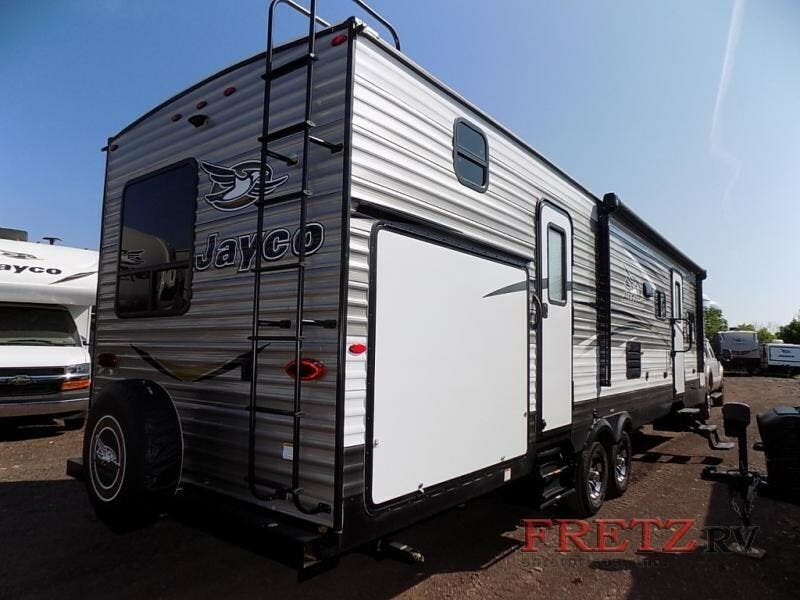 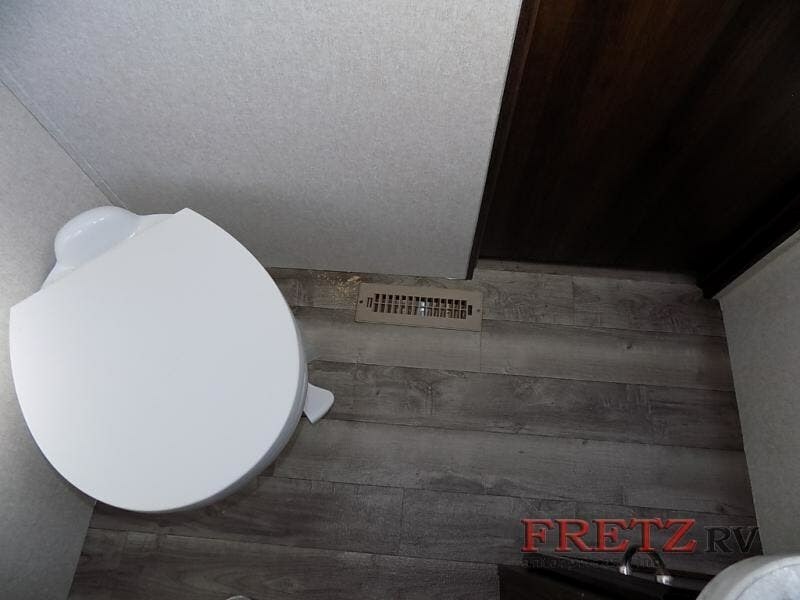 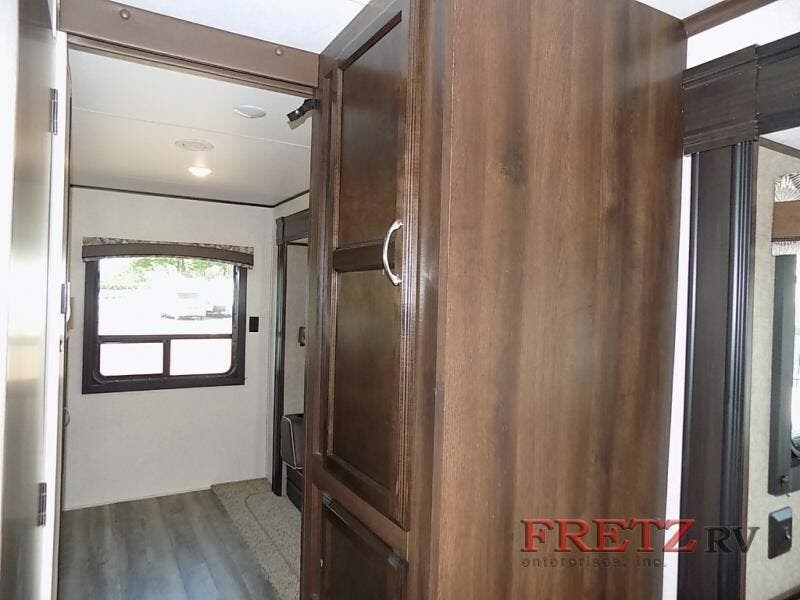 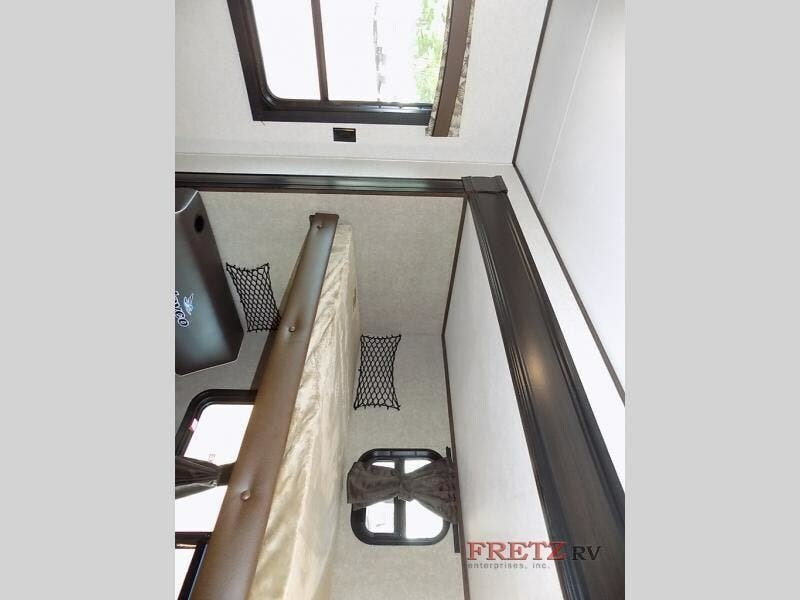 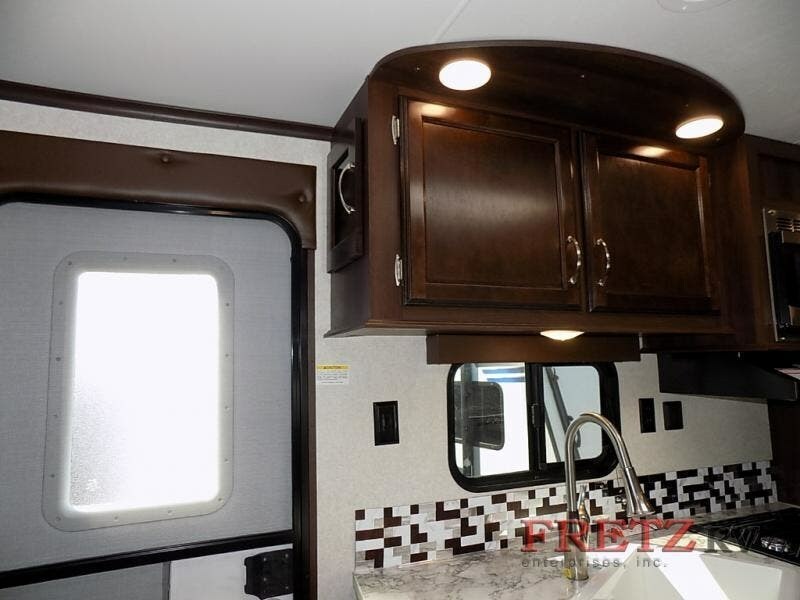 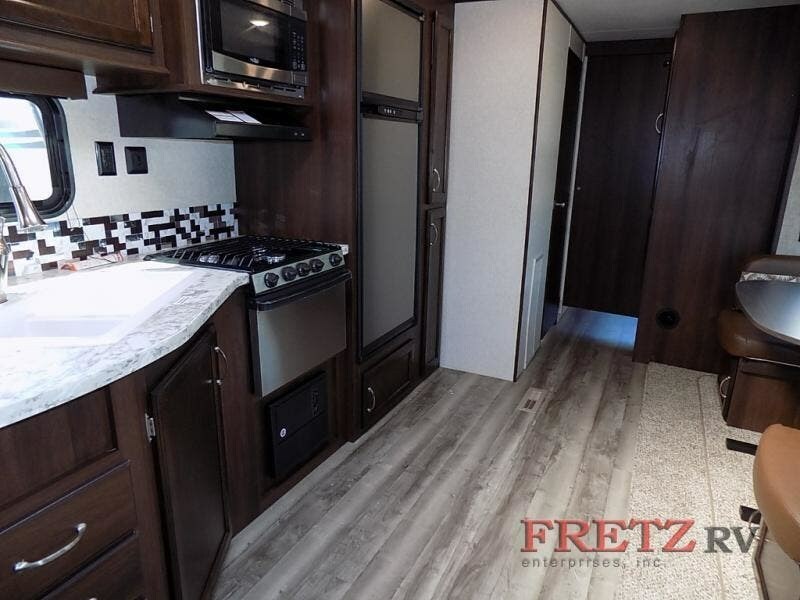 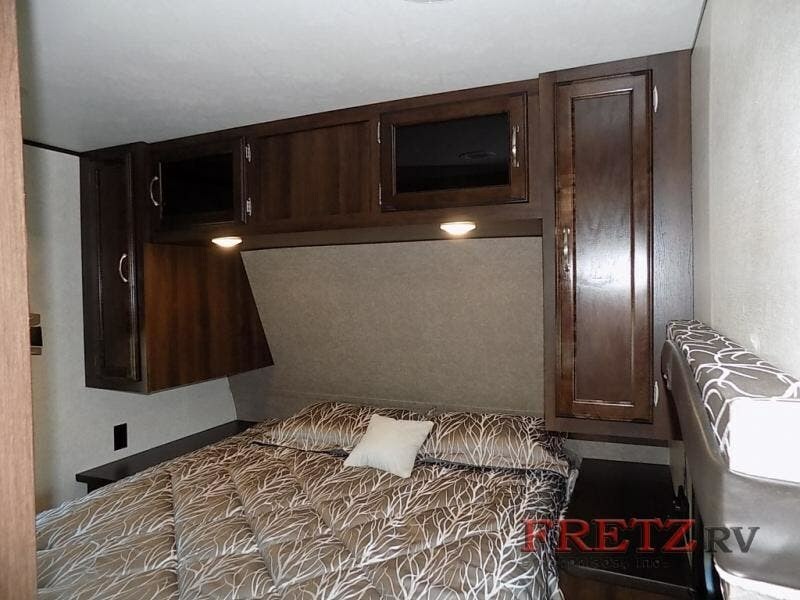 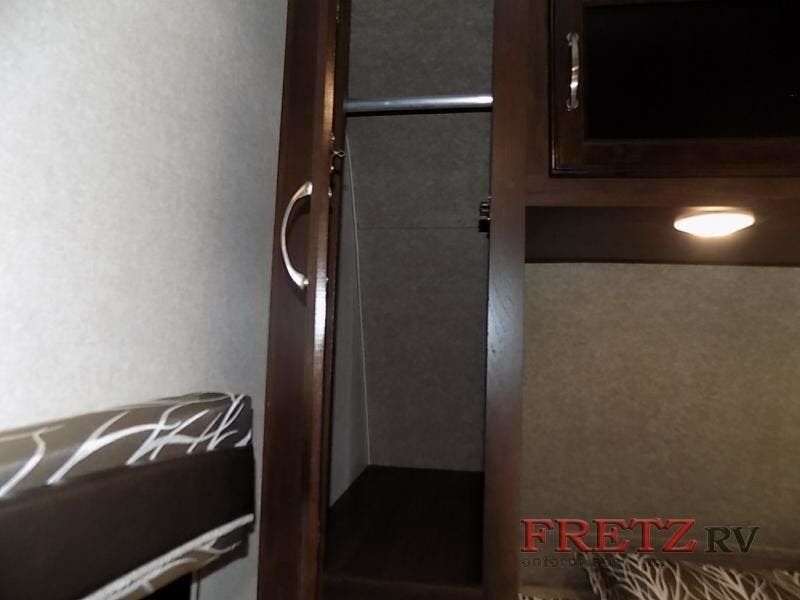 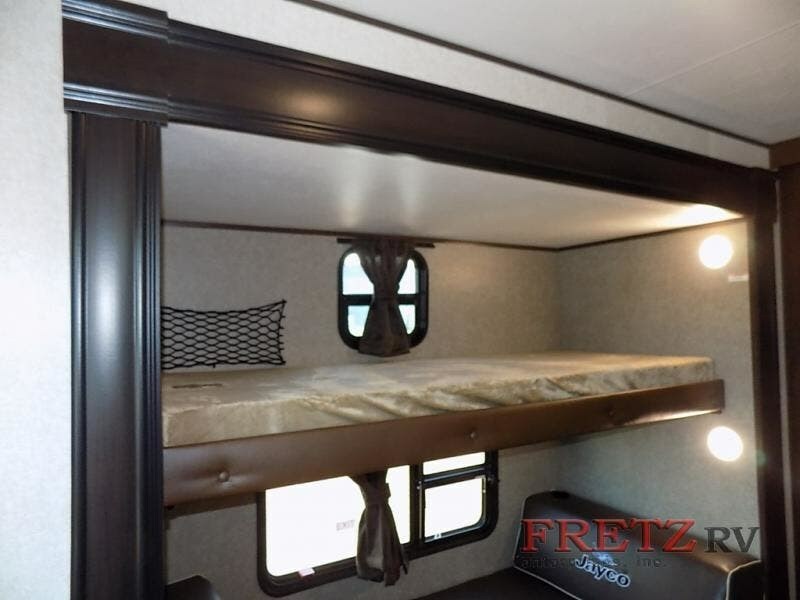 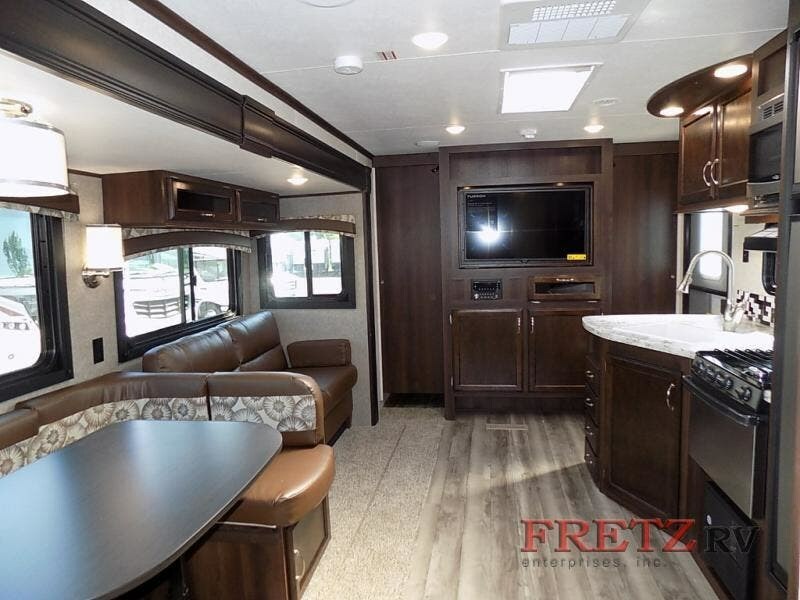 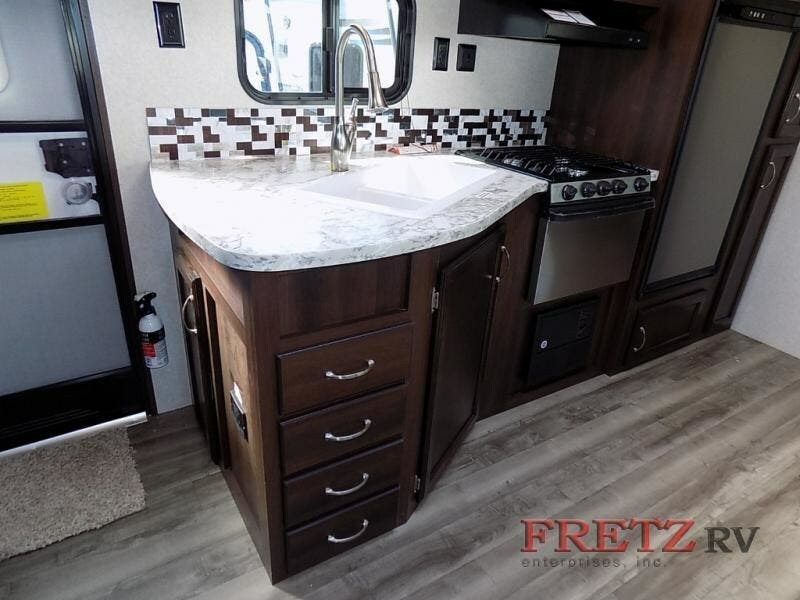 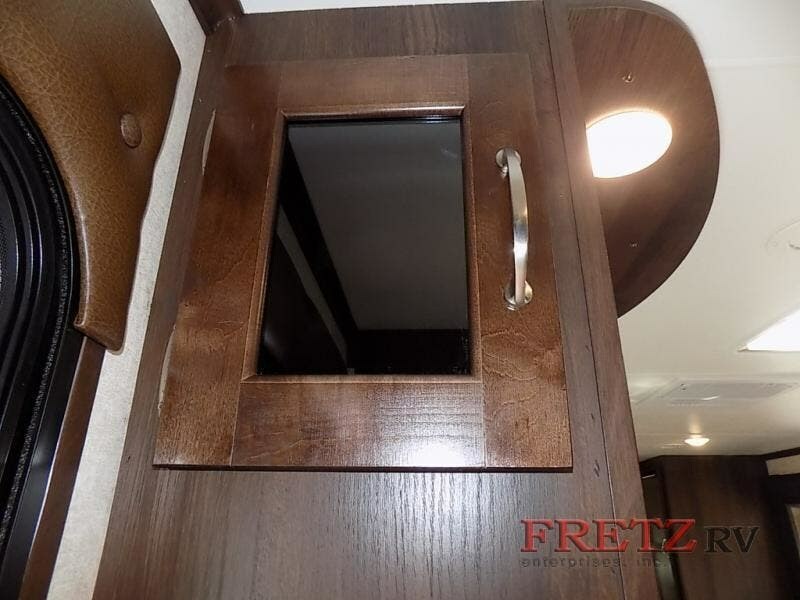 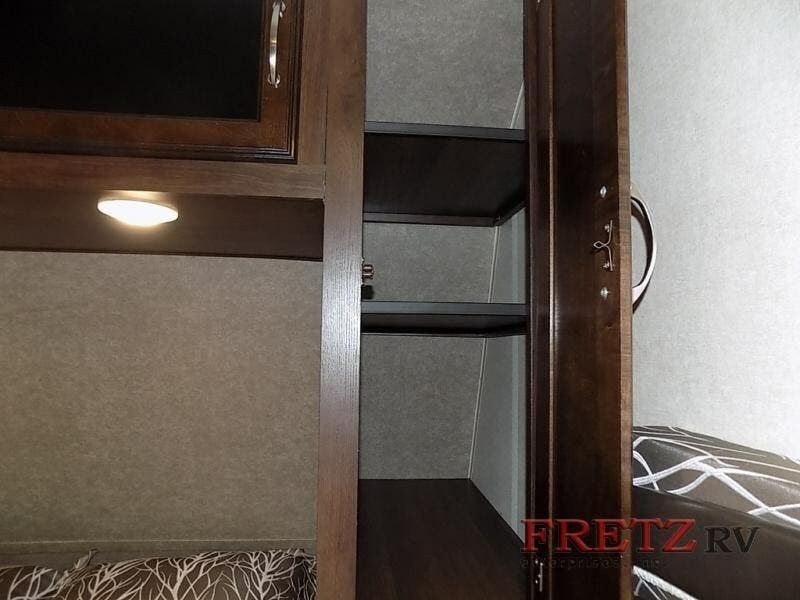 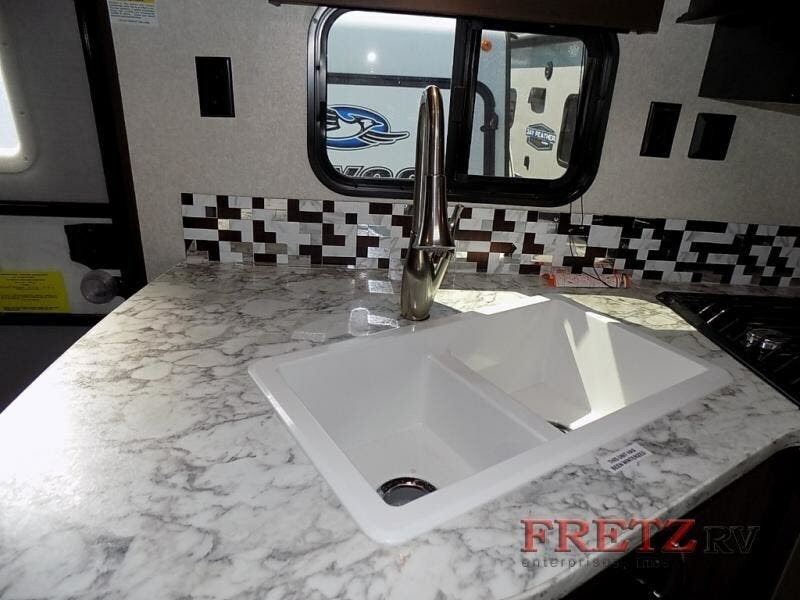 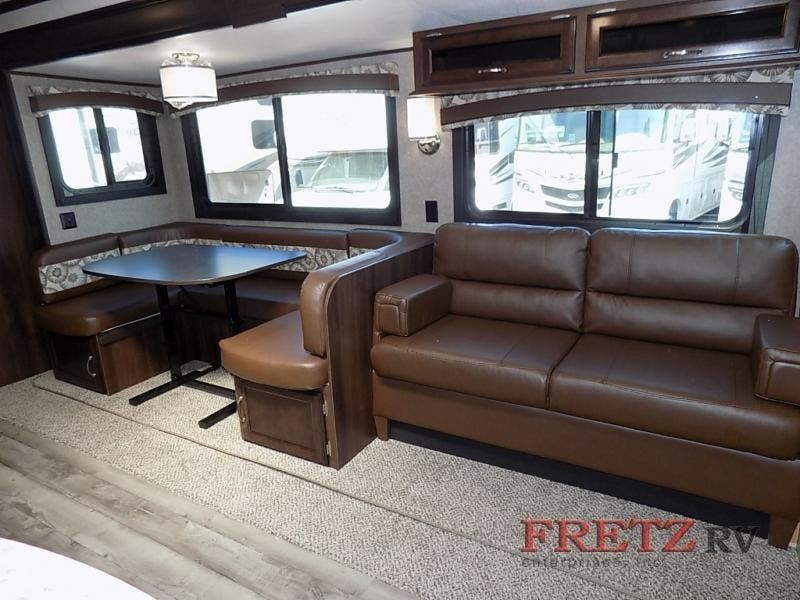 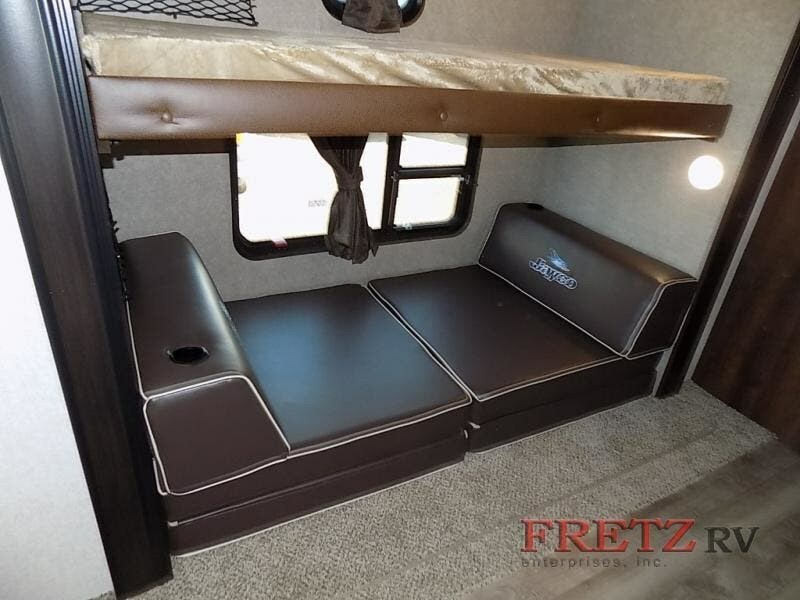 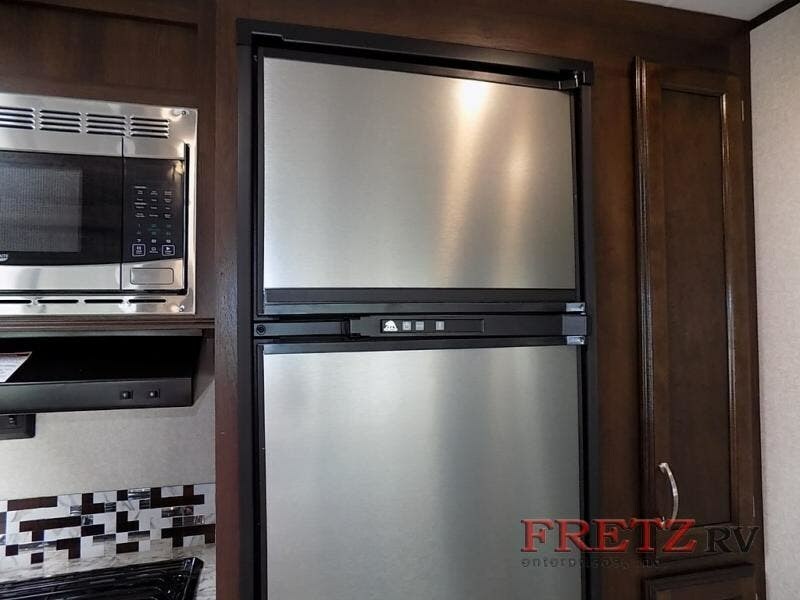 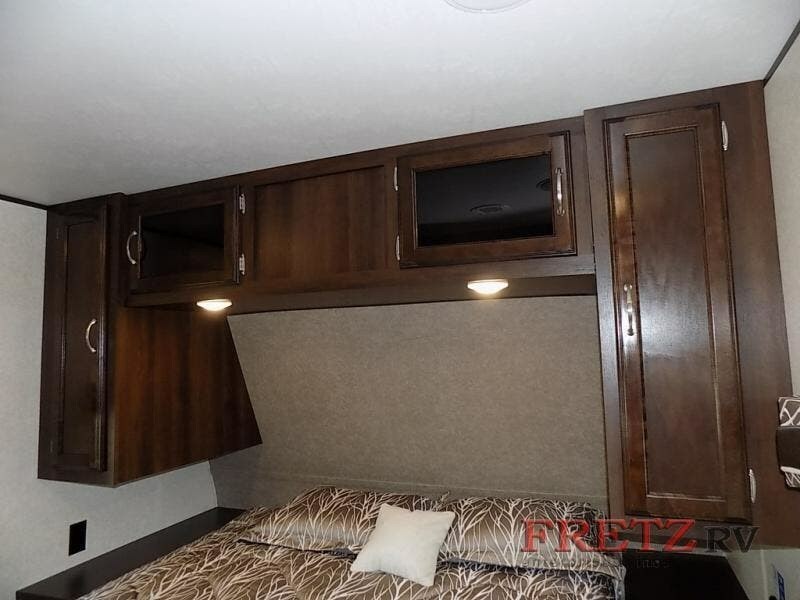 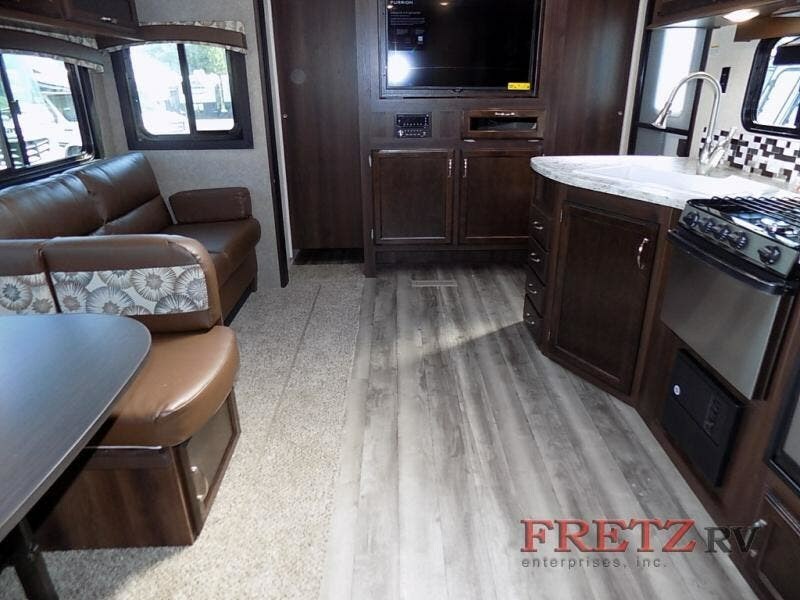 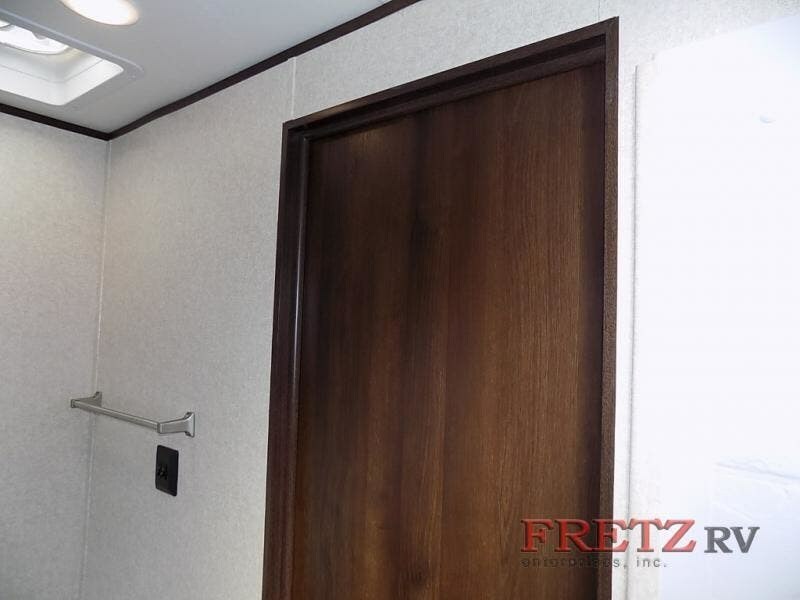 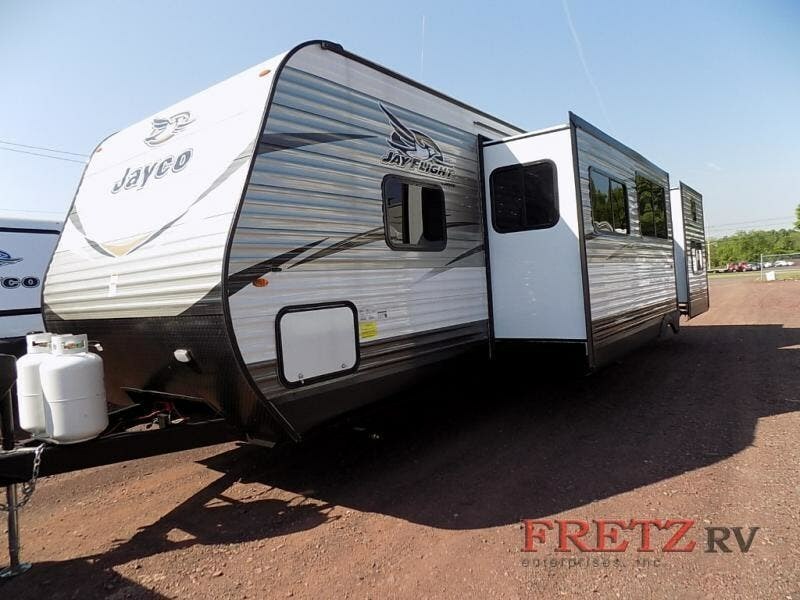 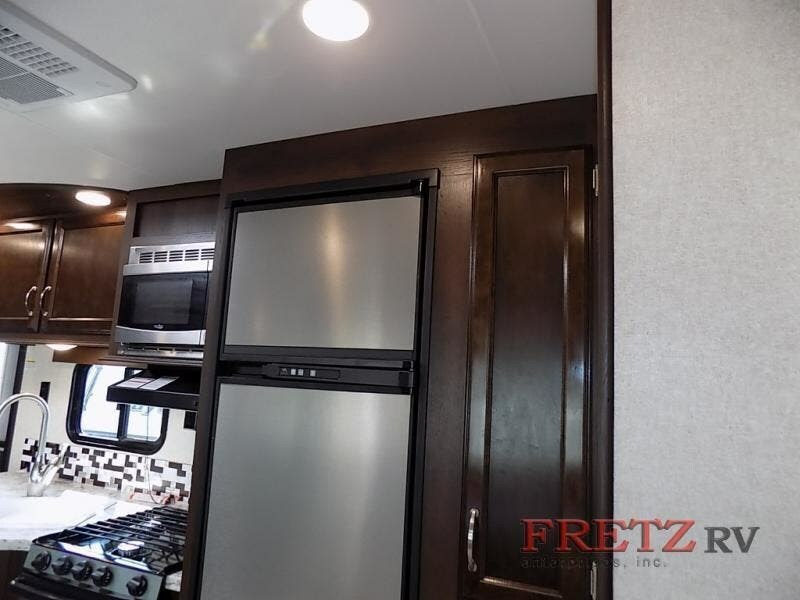 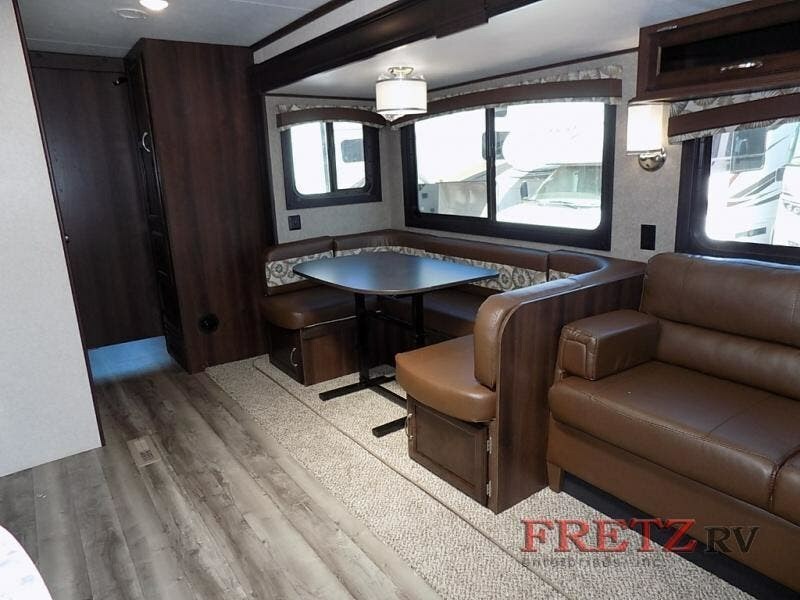 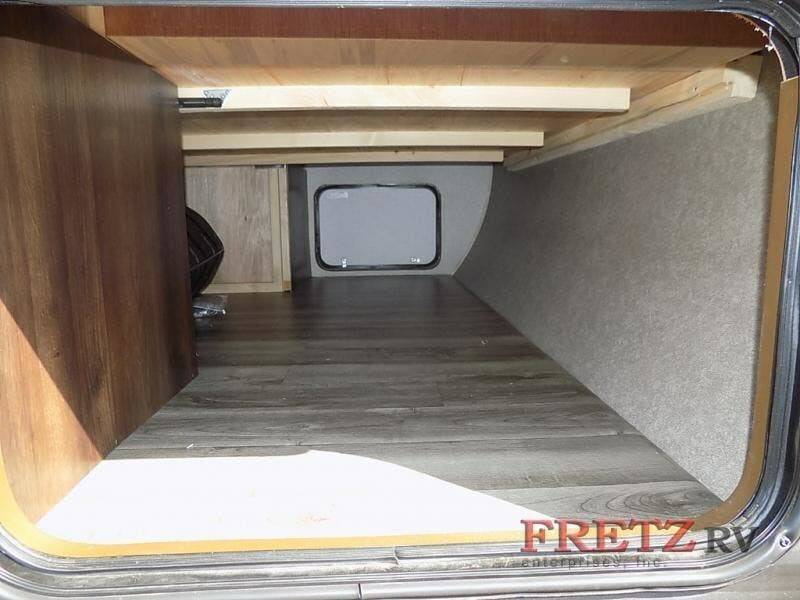 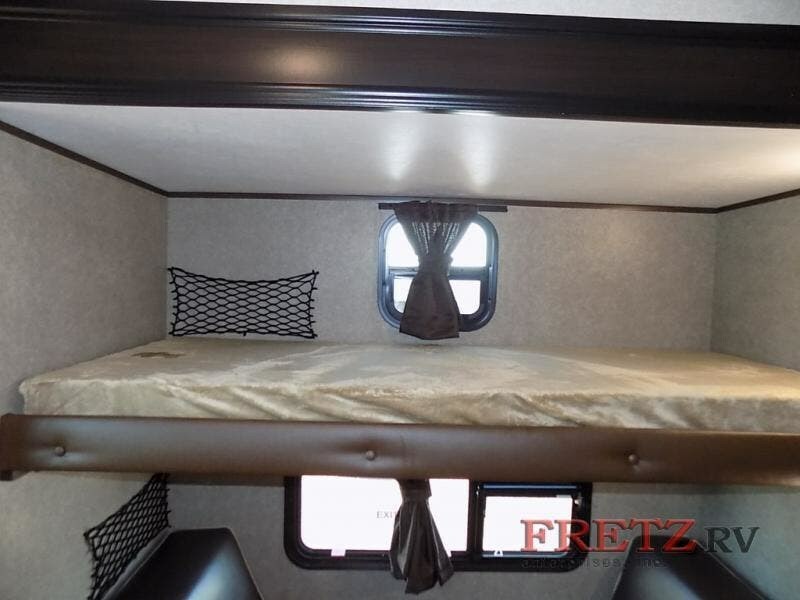 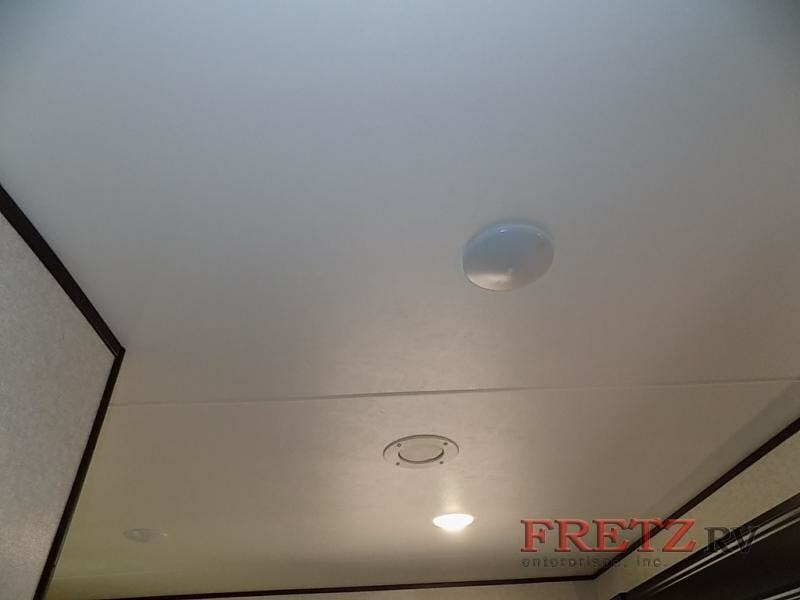 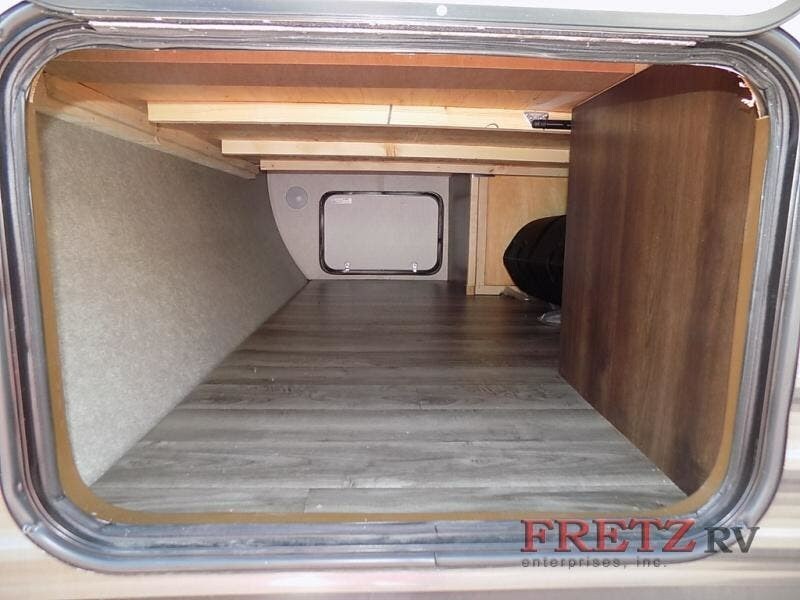 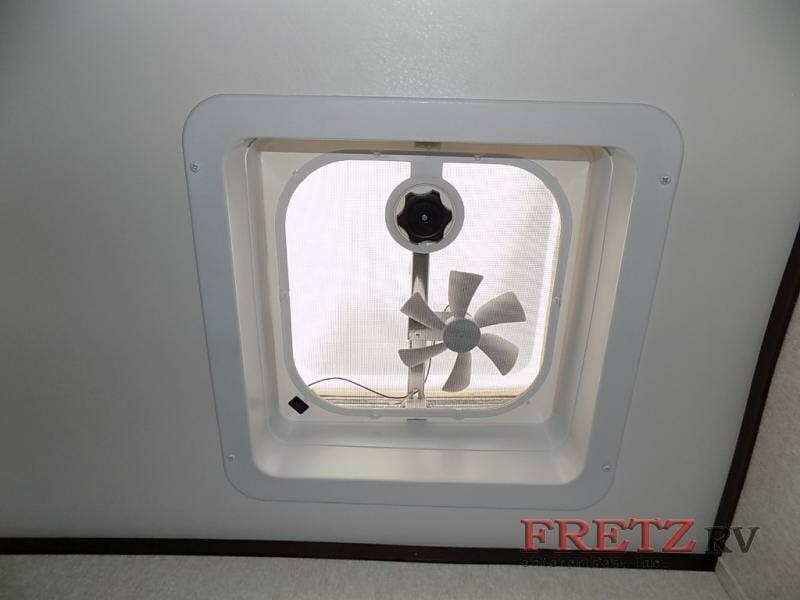 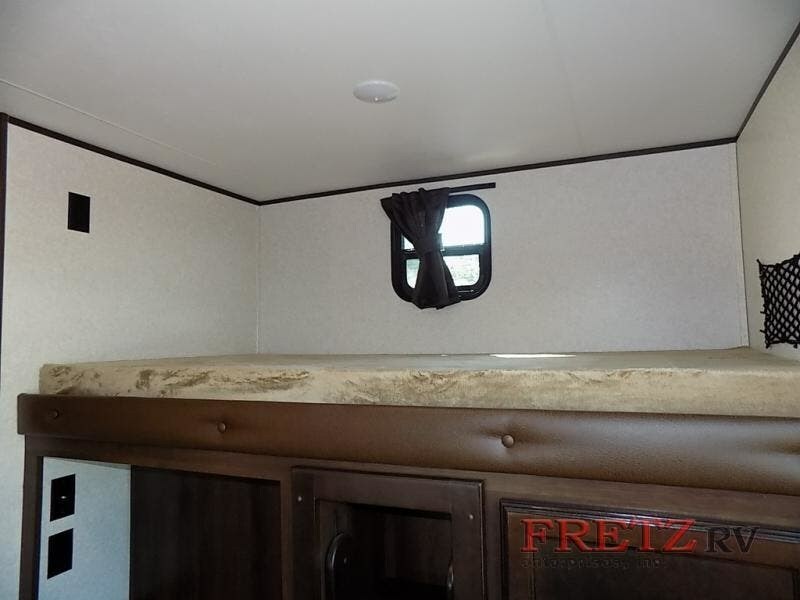 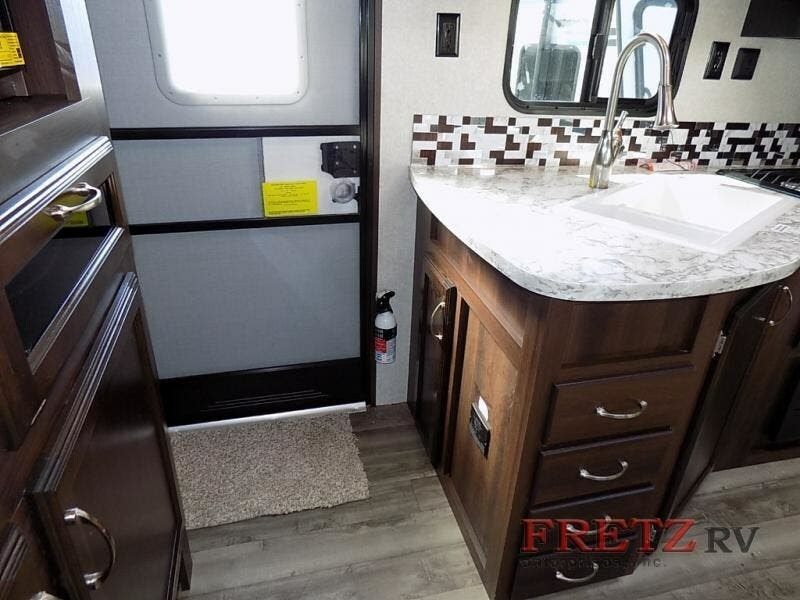 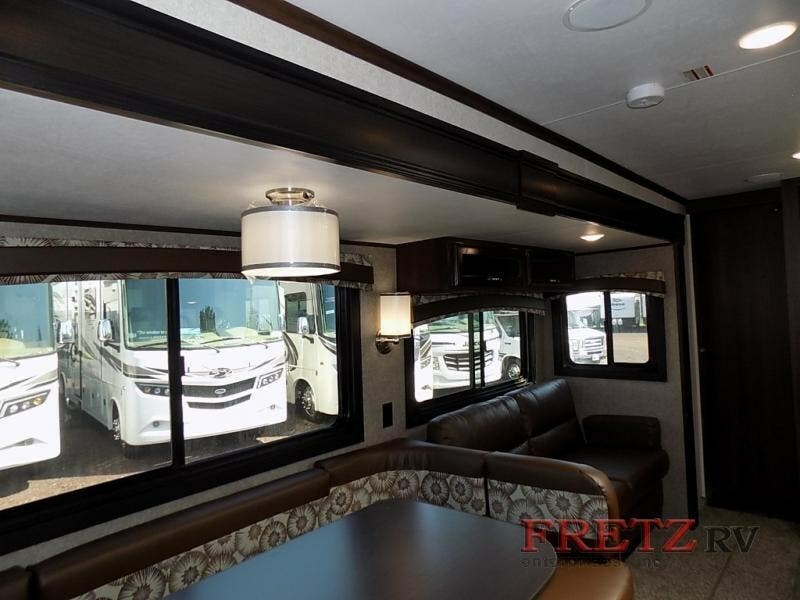 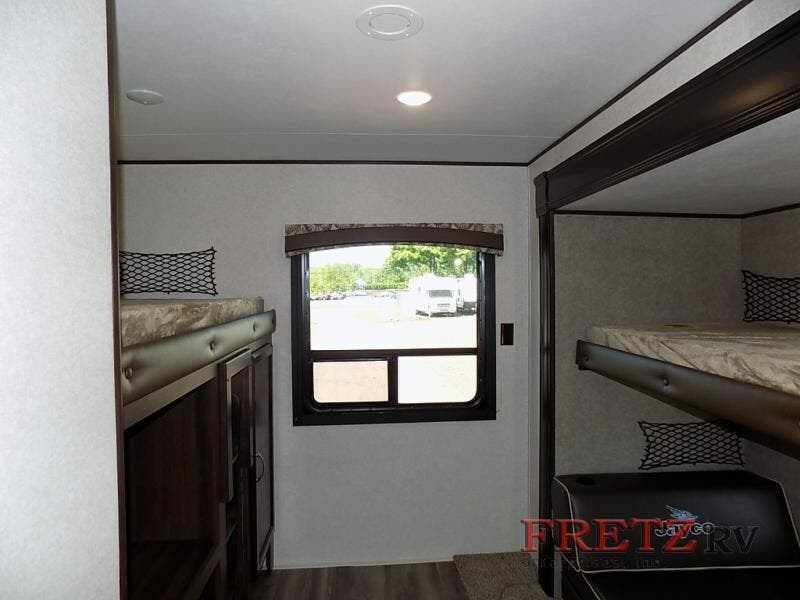 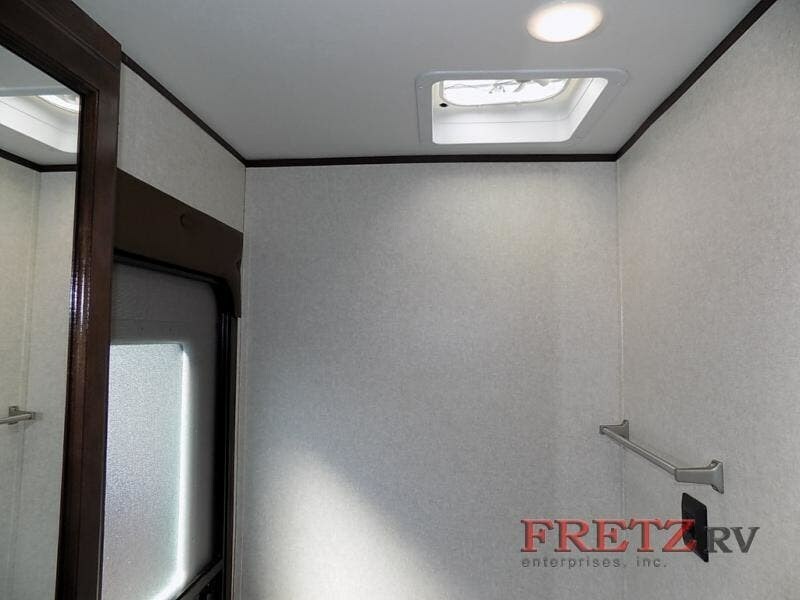 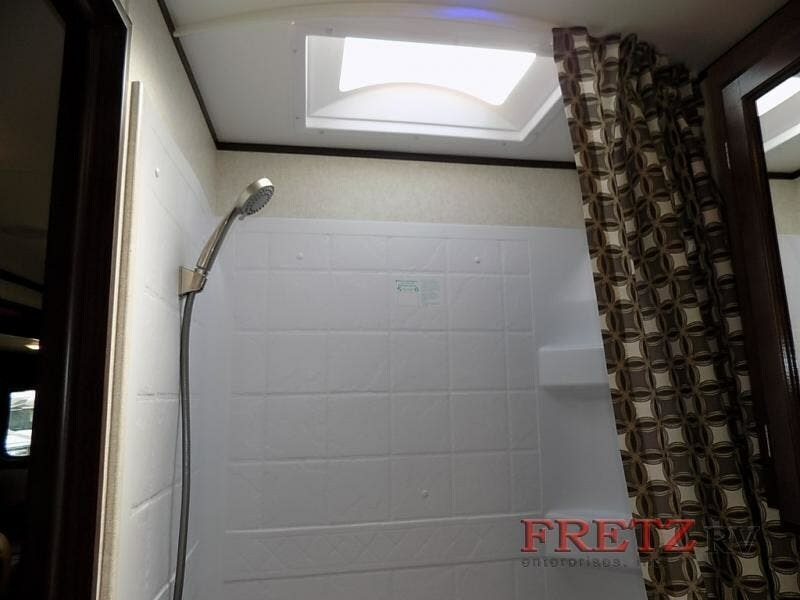 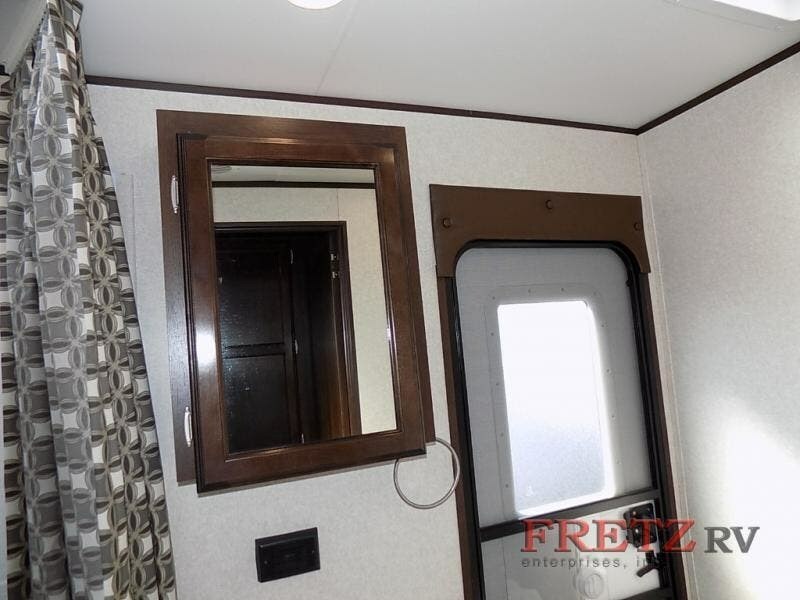 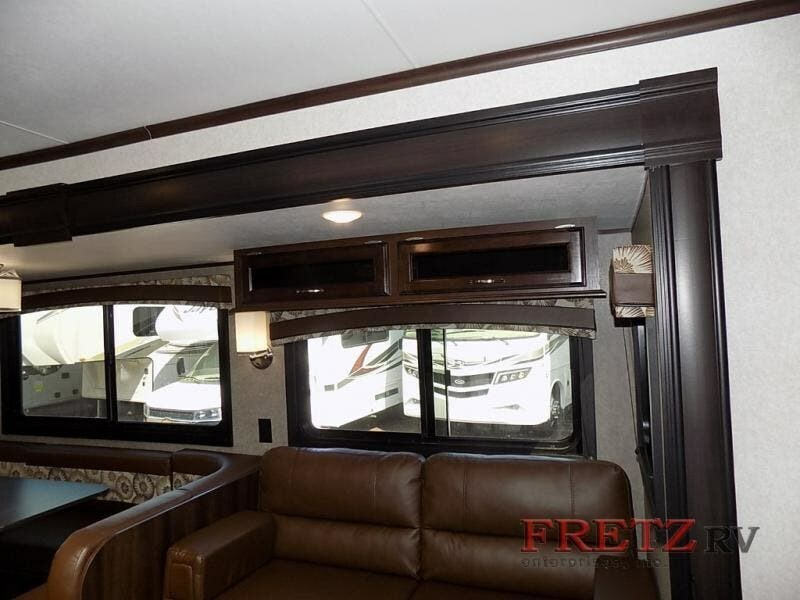 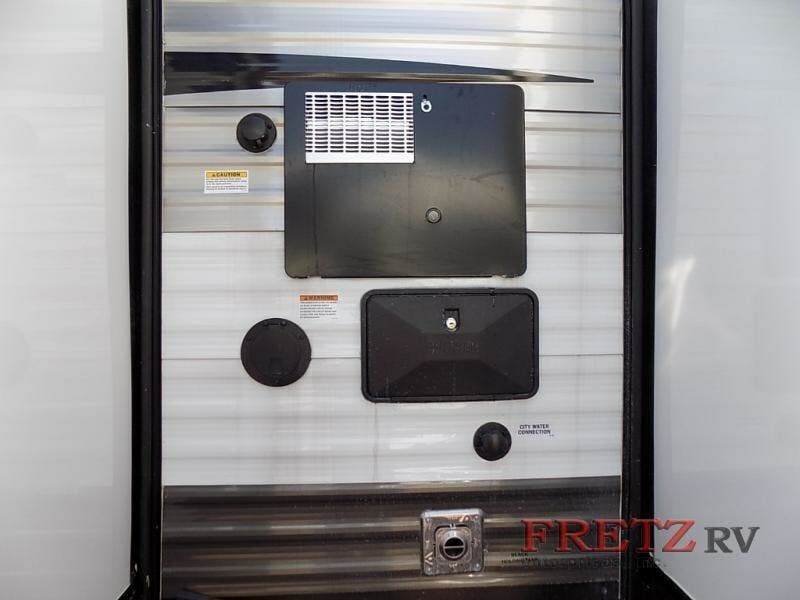 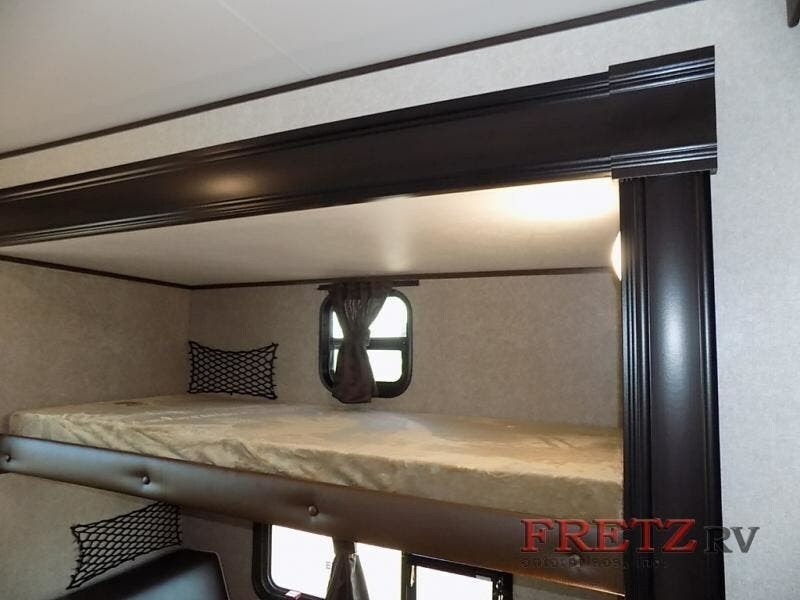 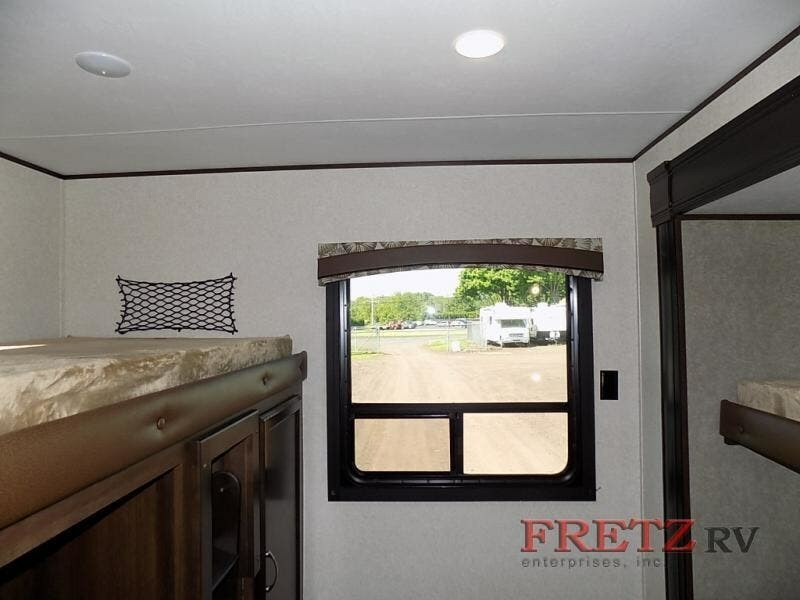 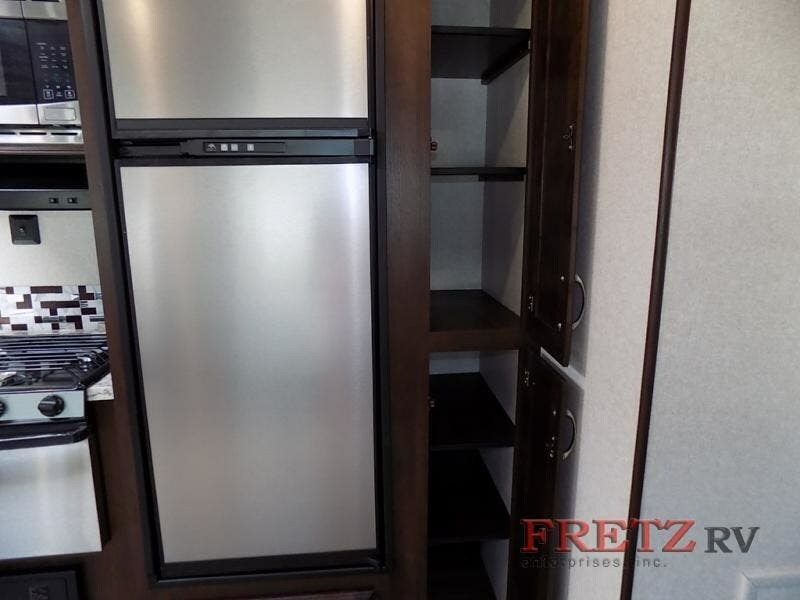 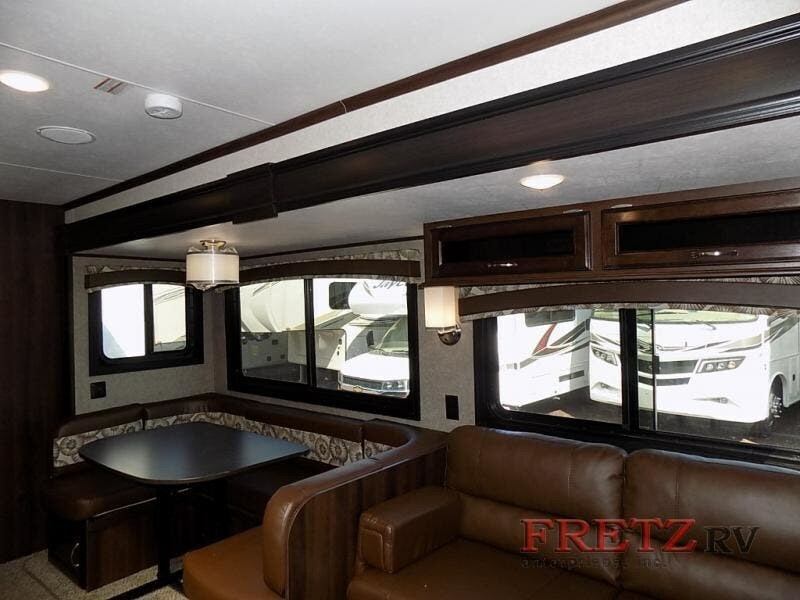 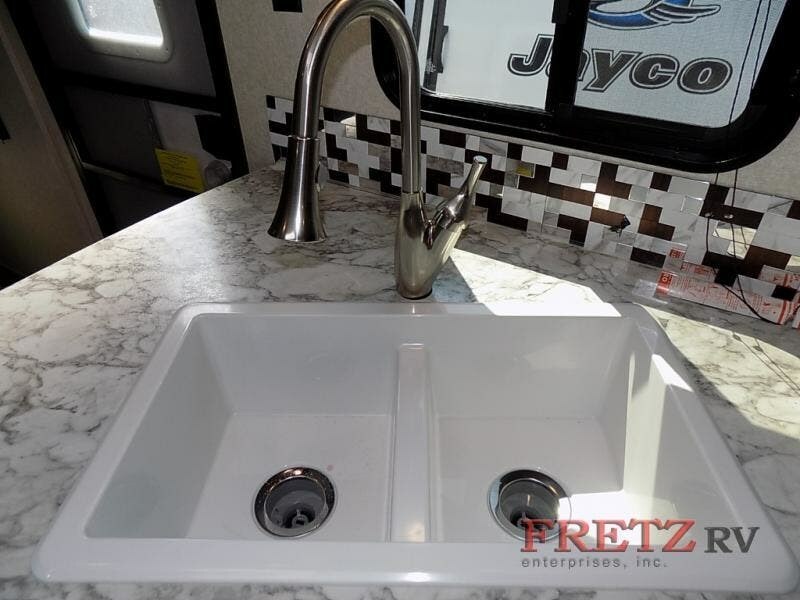 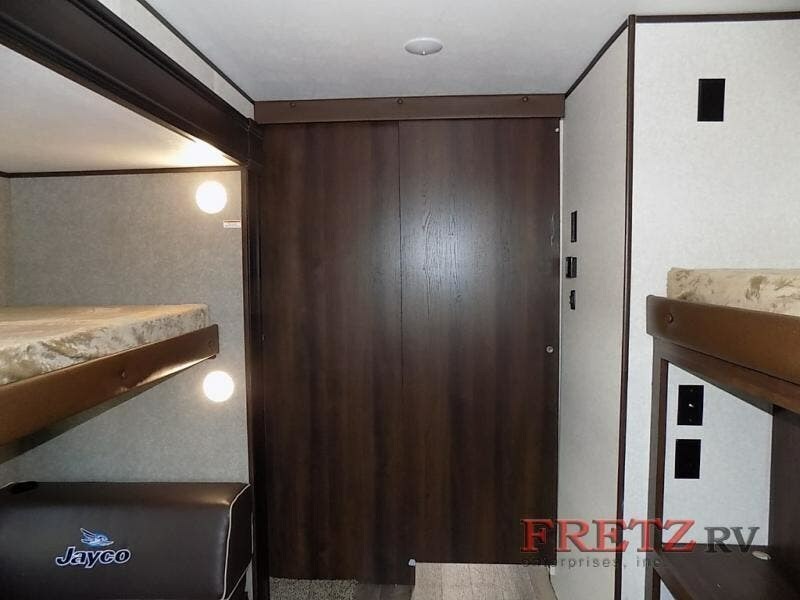 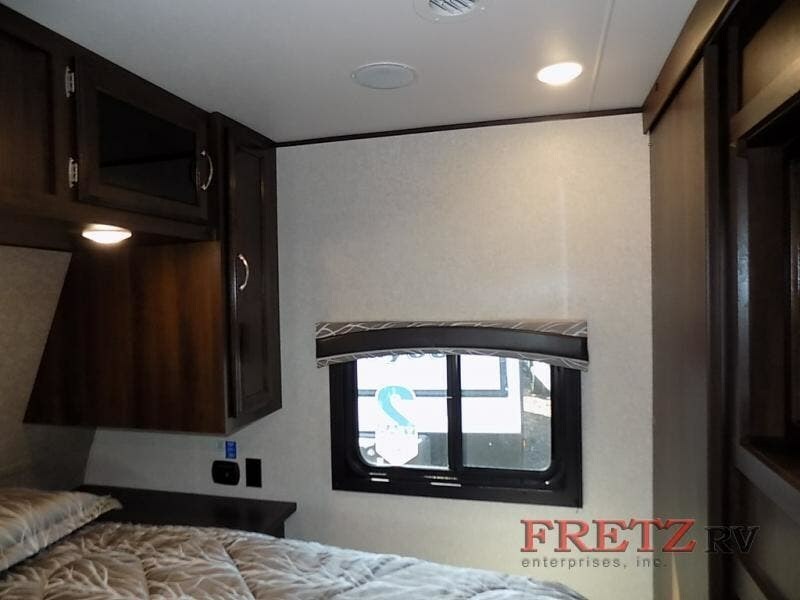 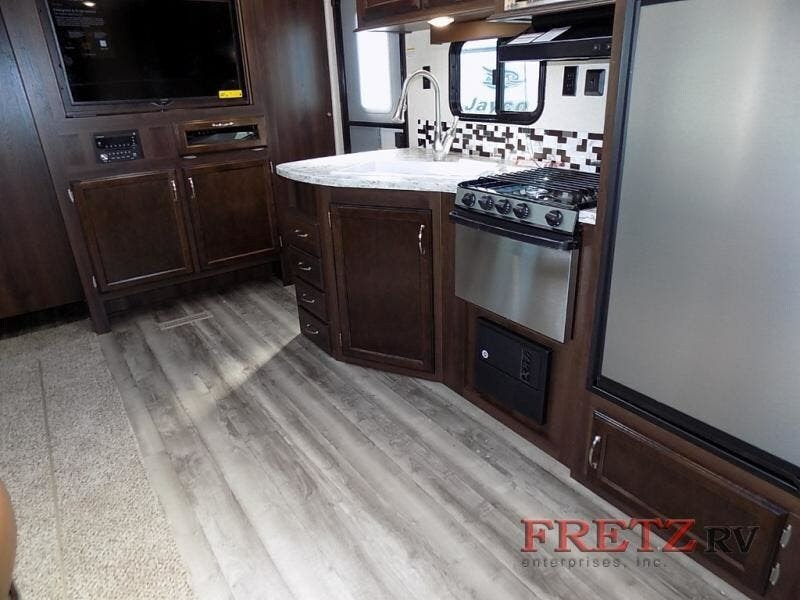 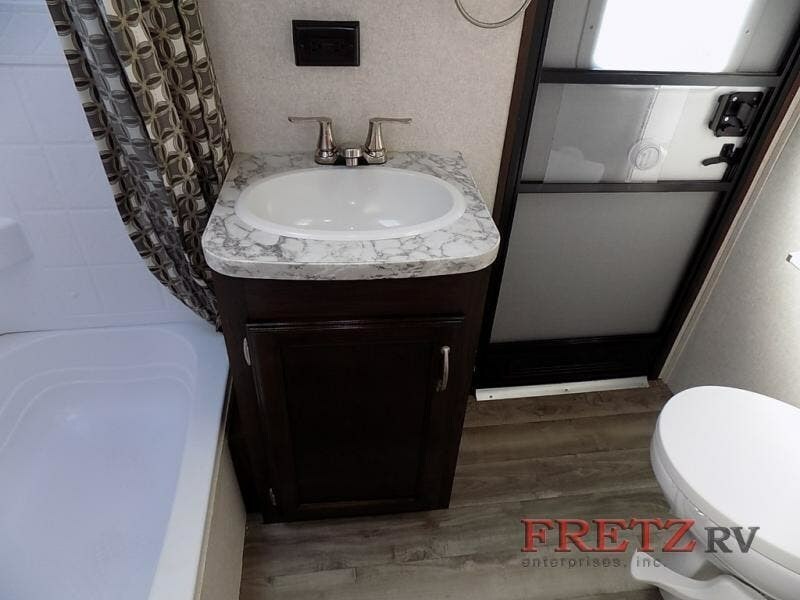 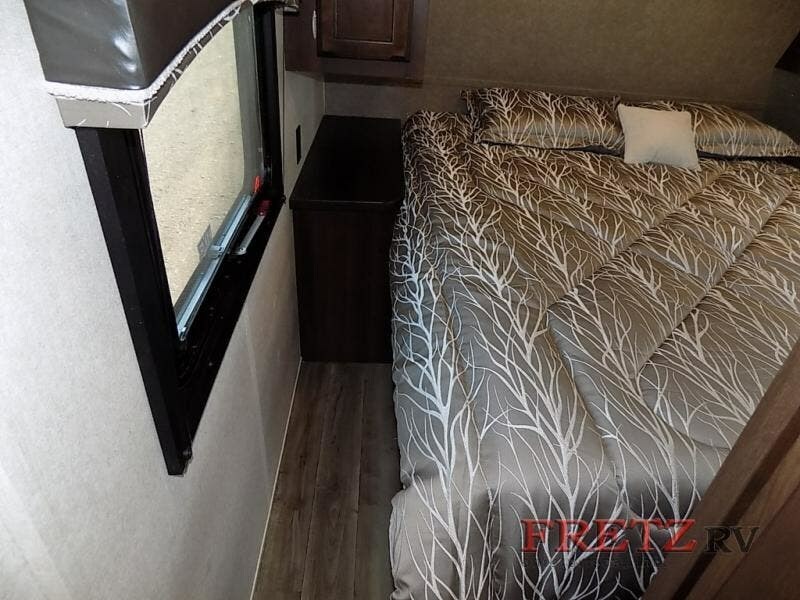 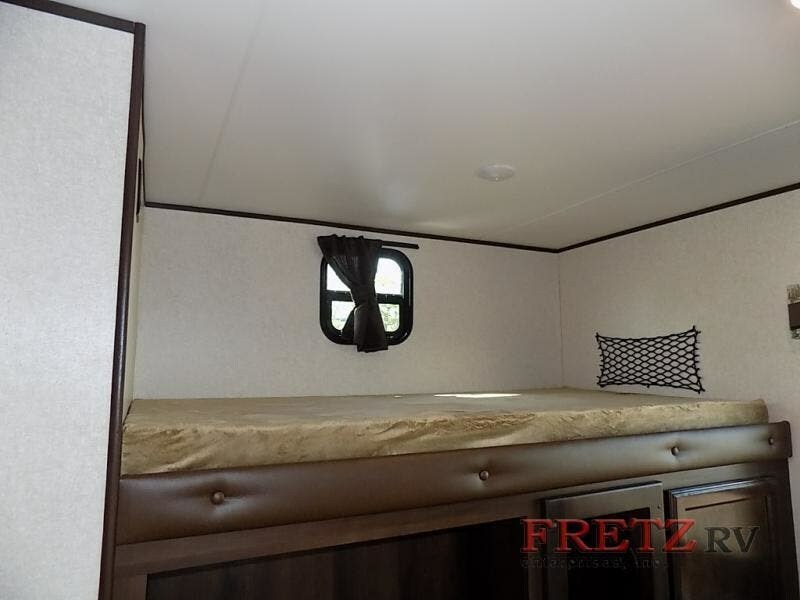 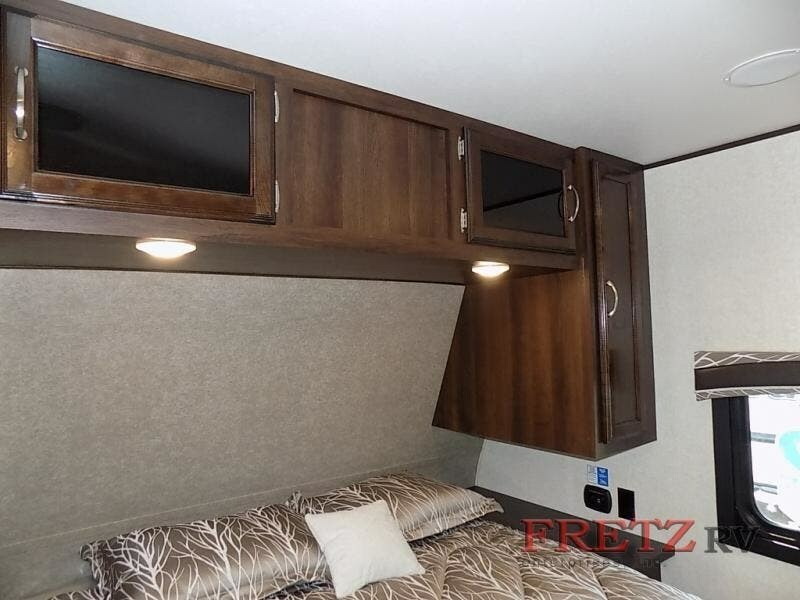 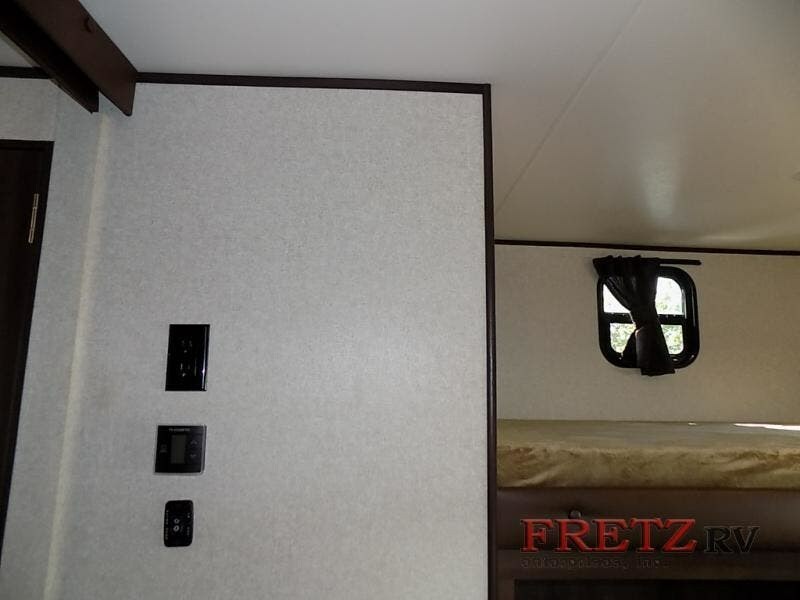 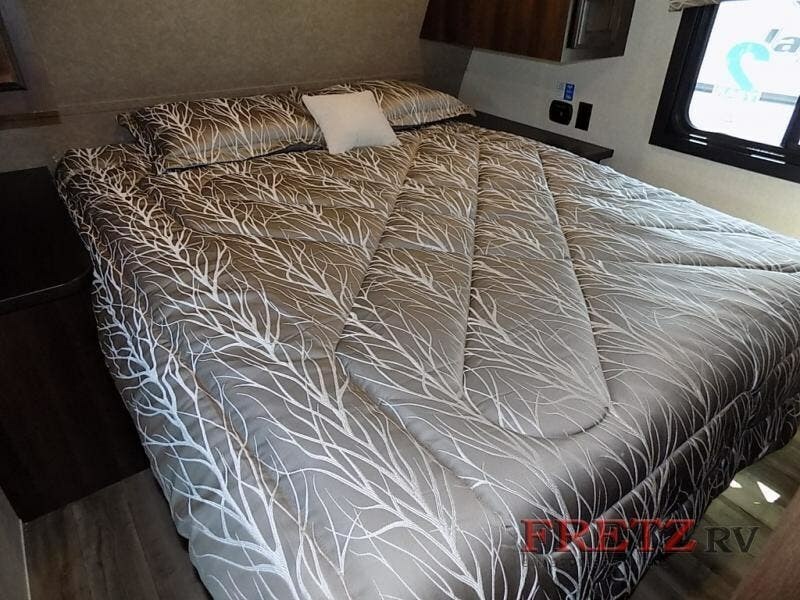 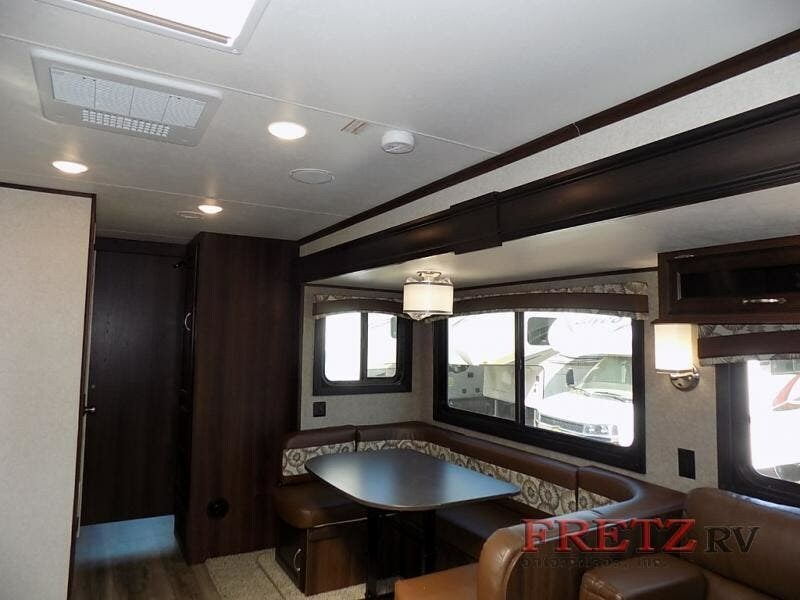 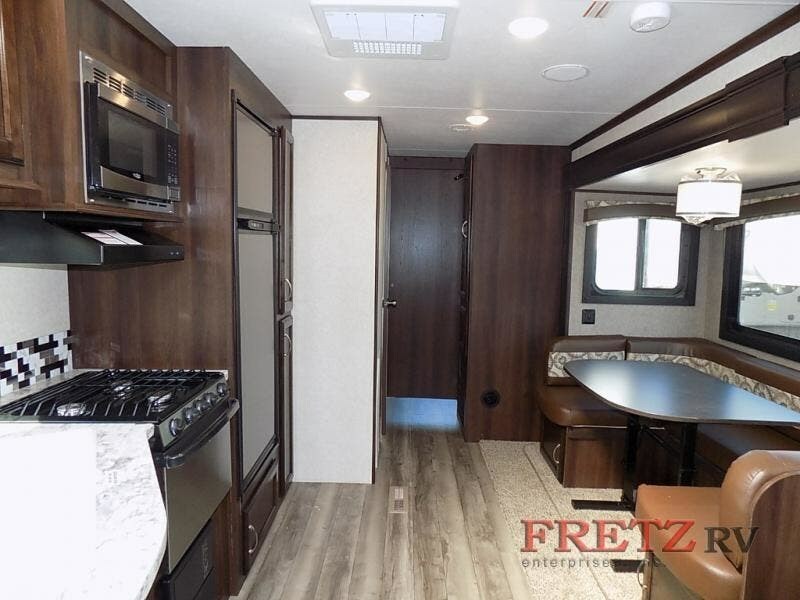 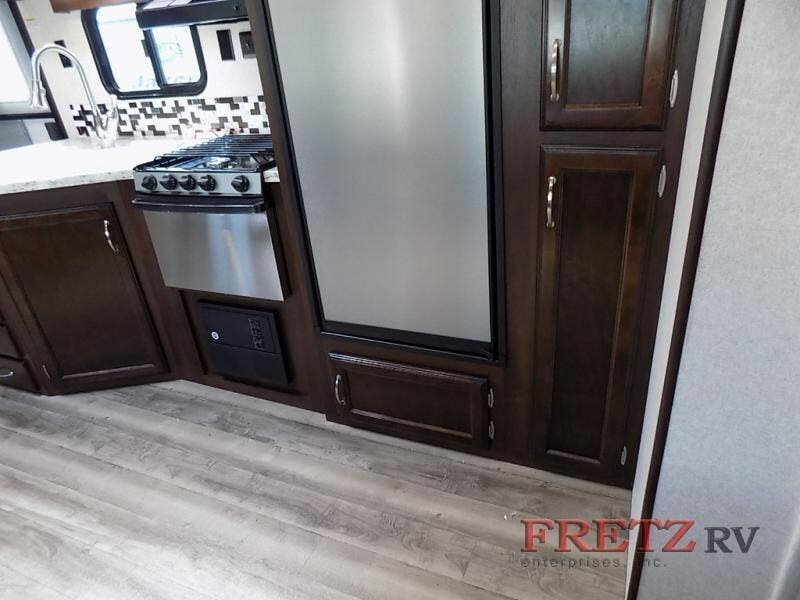 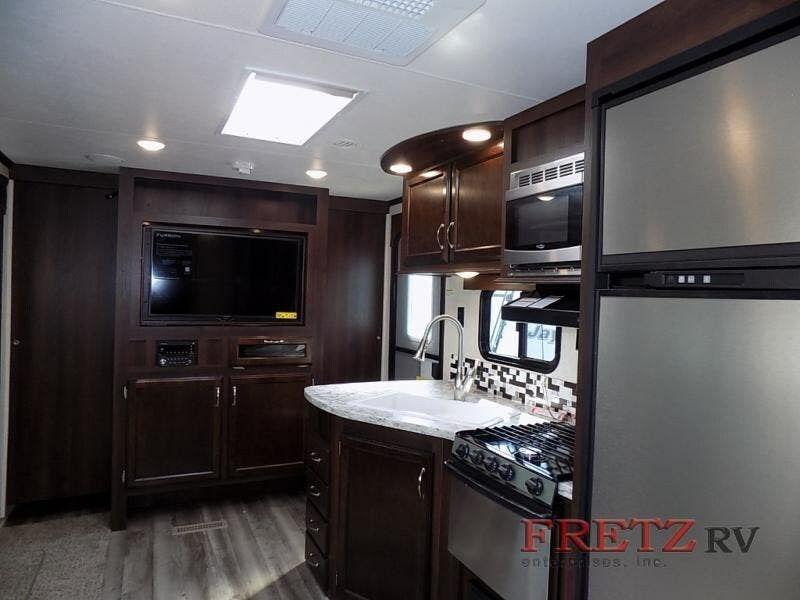 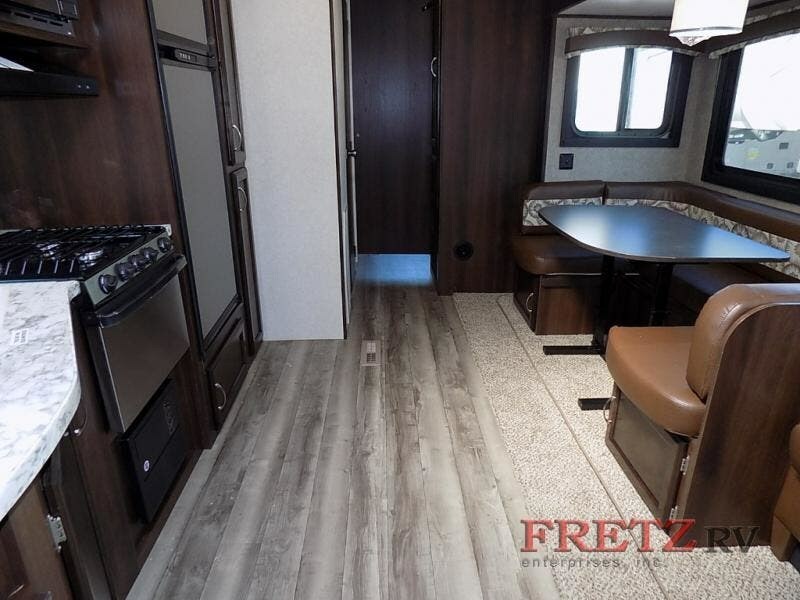 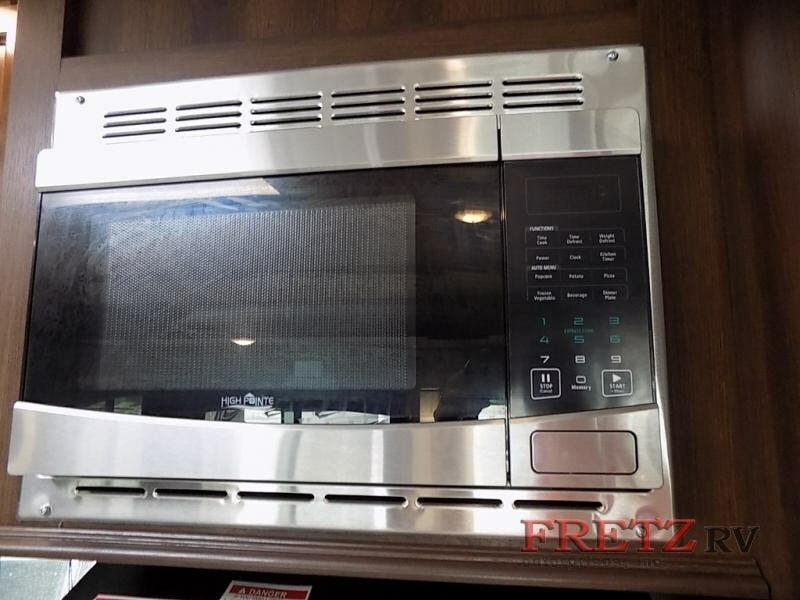 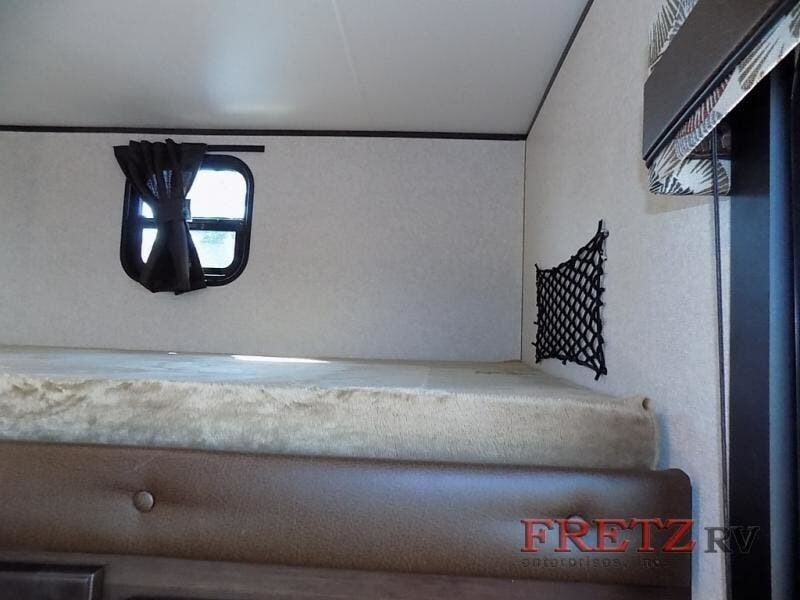 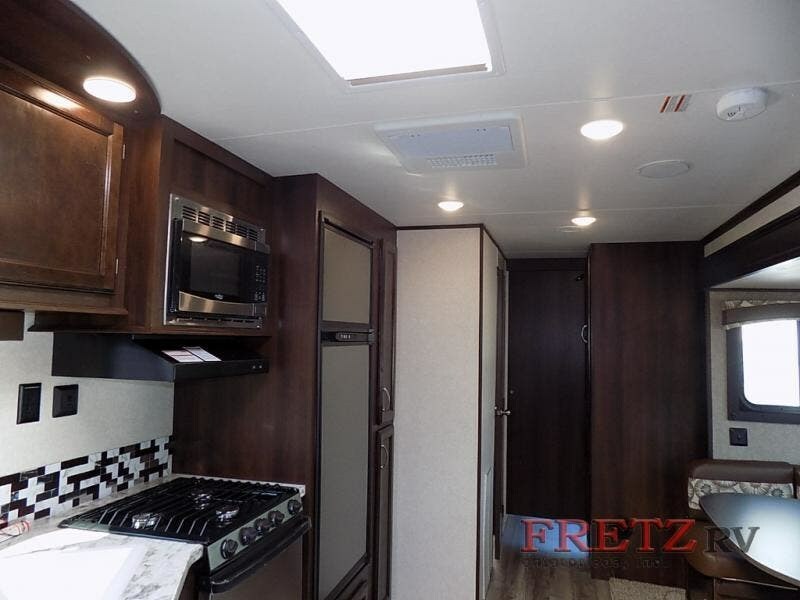 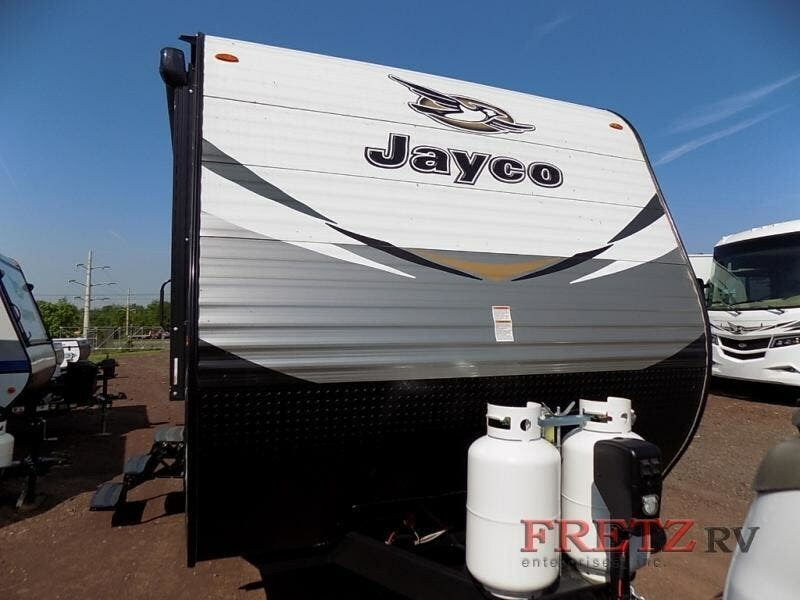 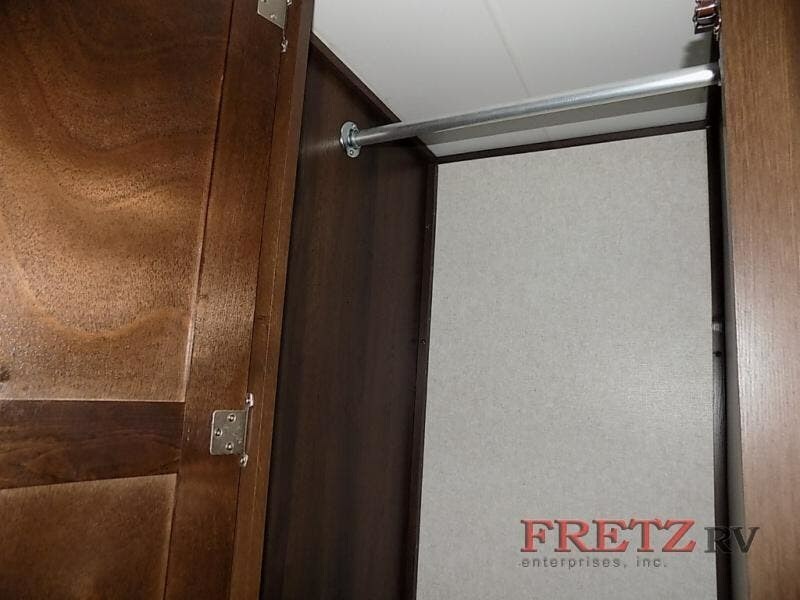 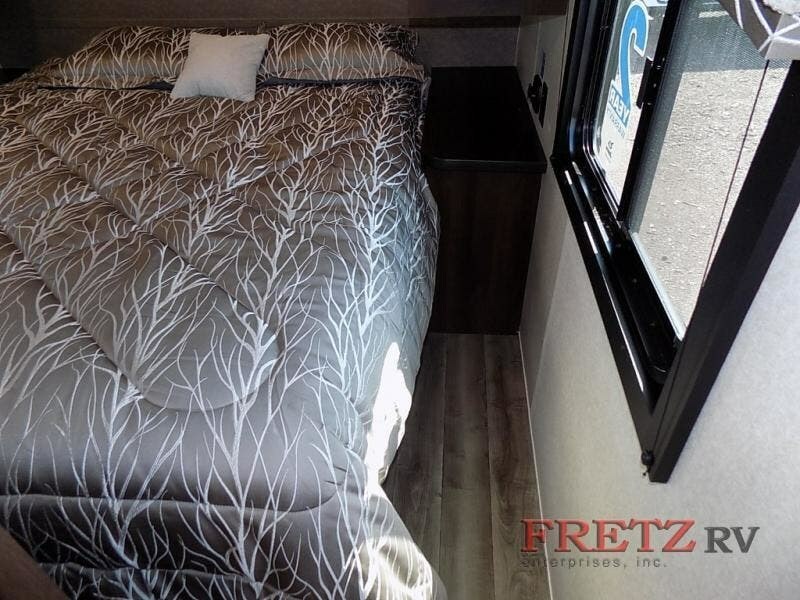 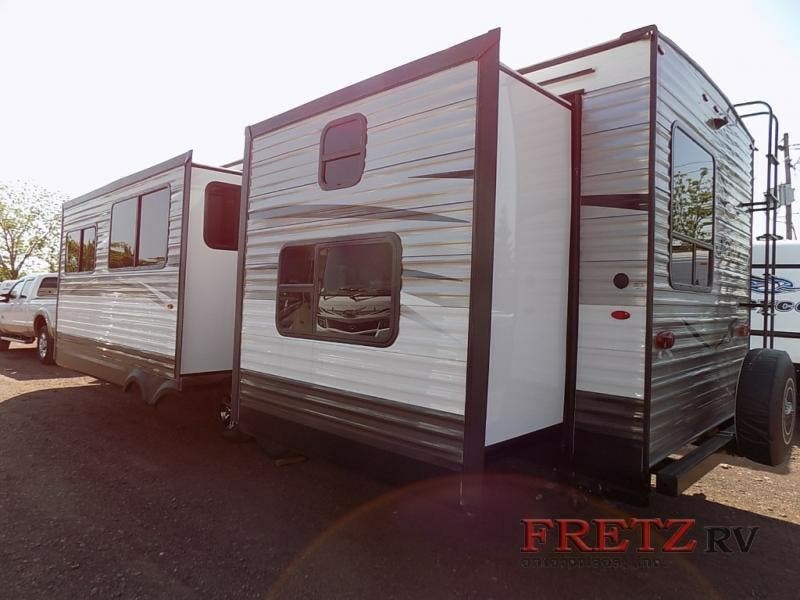 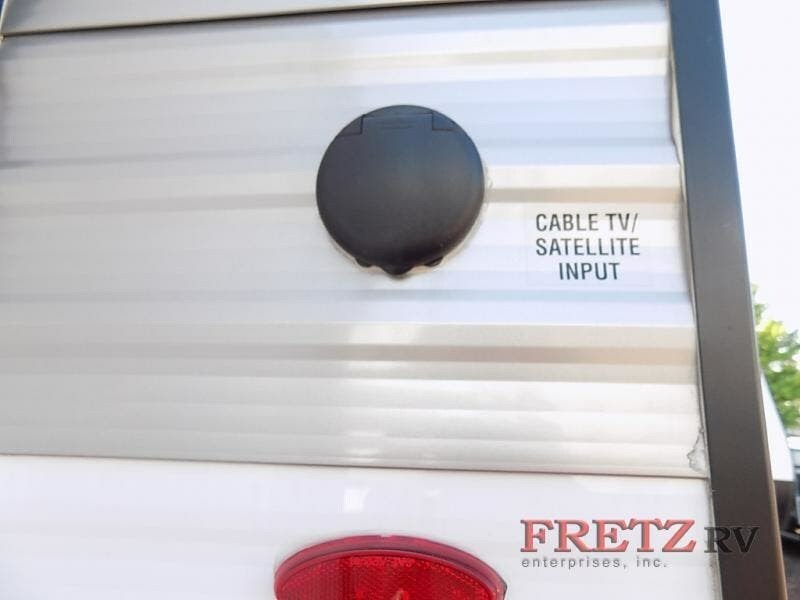 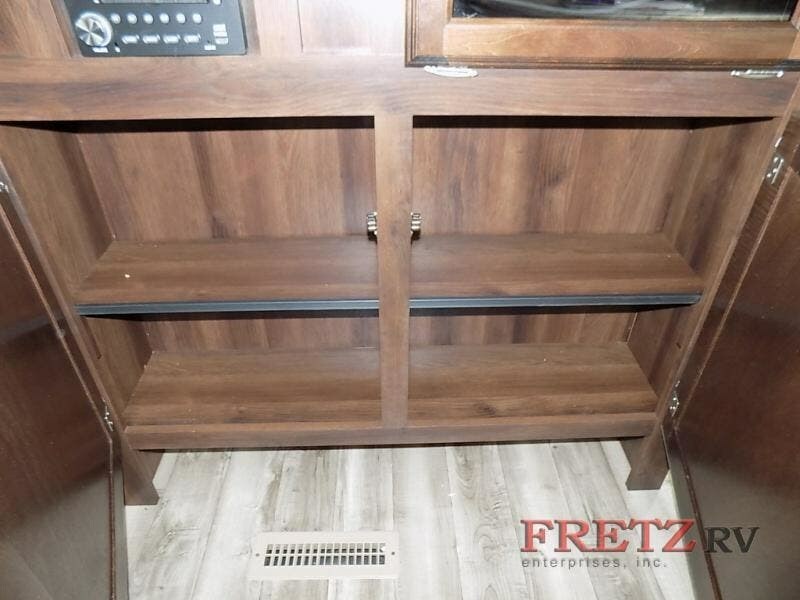 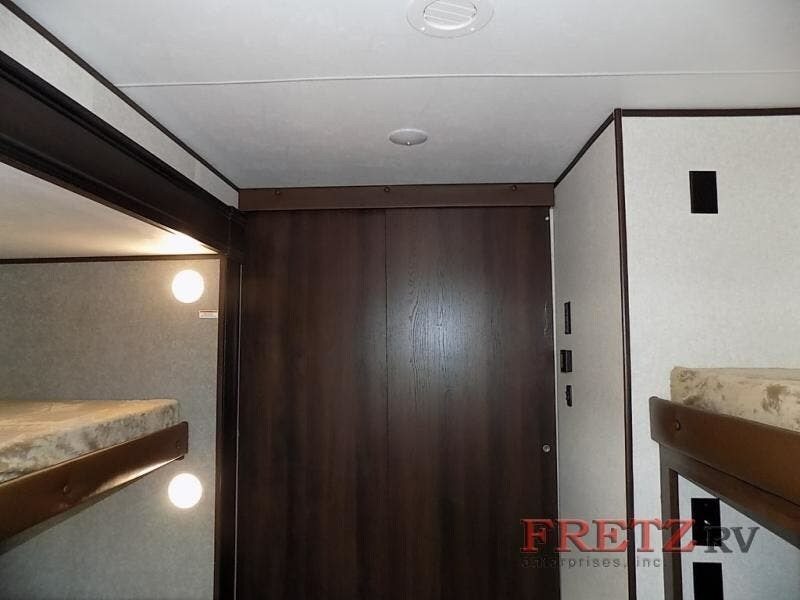 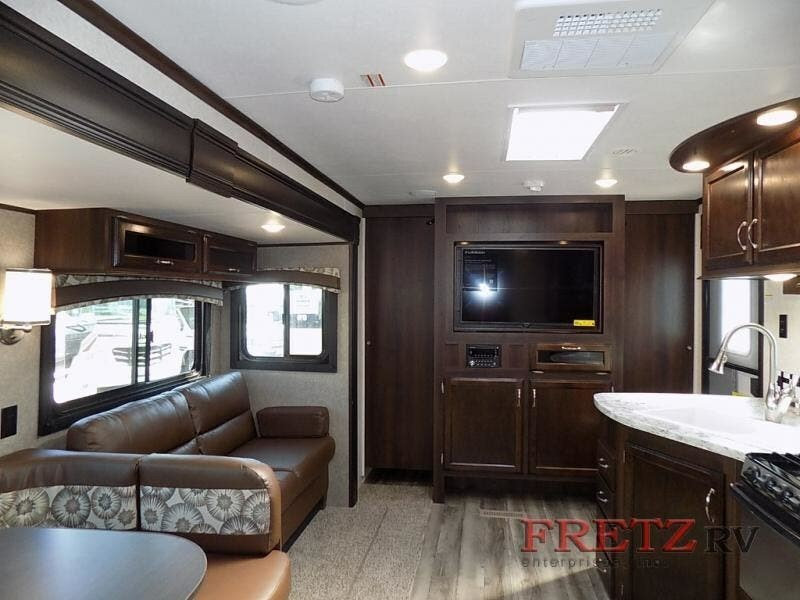 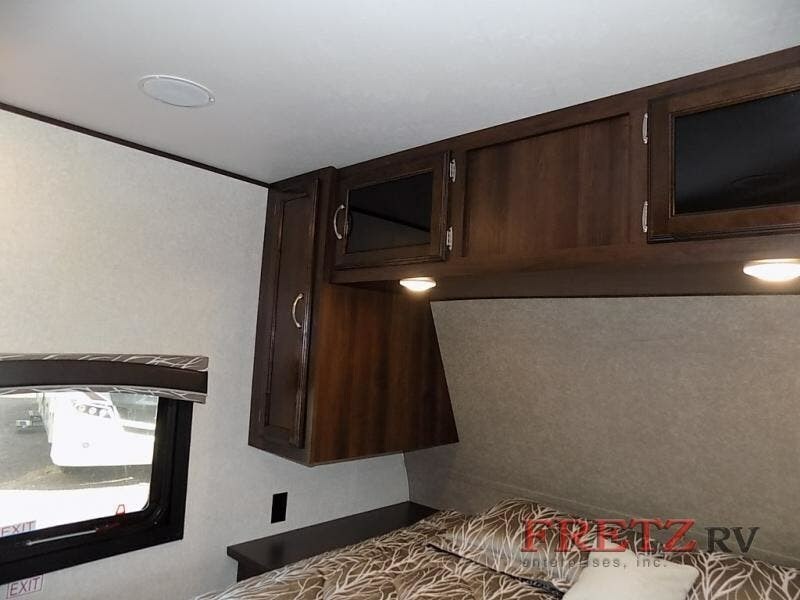 This unit includes Jayco's Customer Value Pkg.-15K A/C, Elite Pkg., total foil w/enclosed underbelly, kitchen skylight w/shade, 39" TV, aluminum rims & roof ladder. 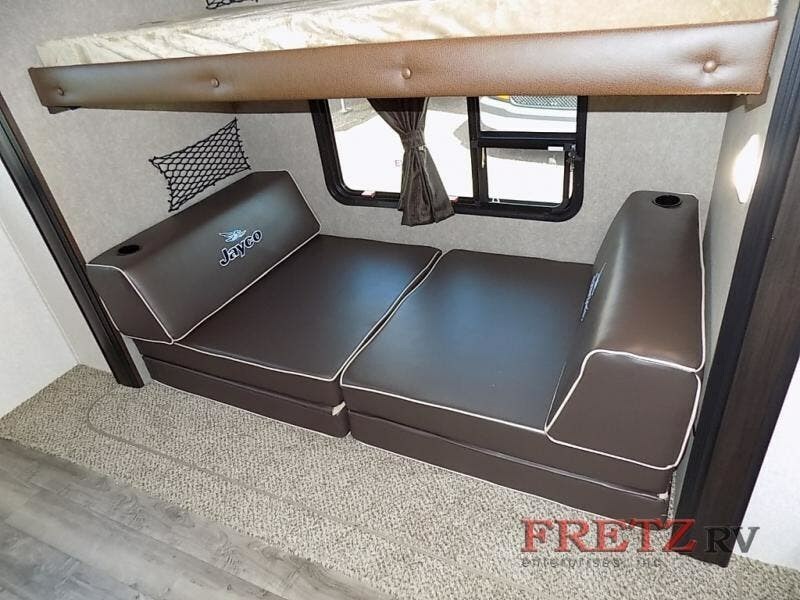 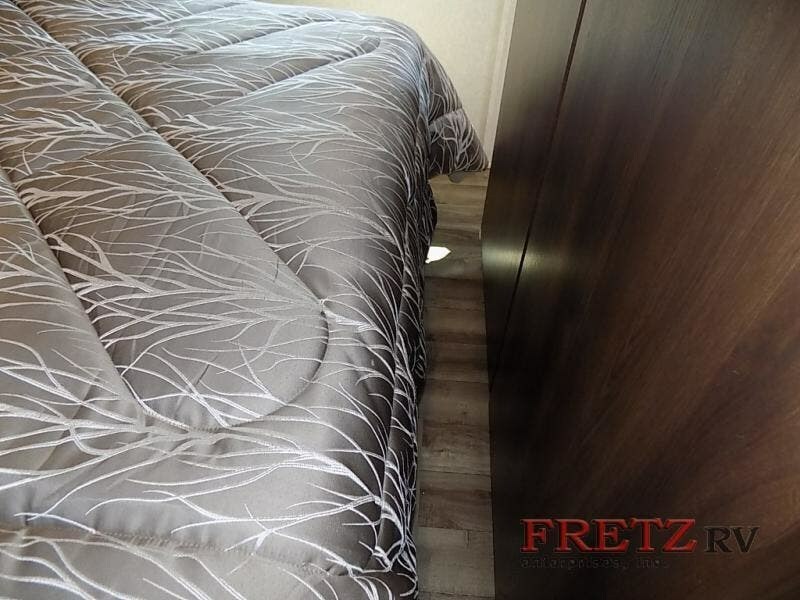 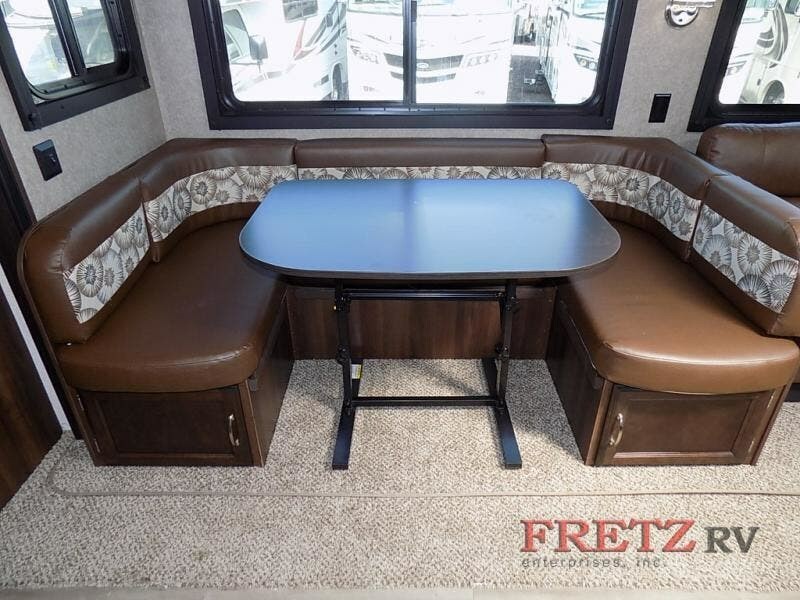 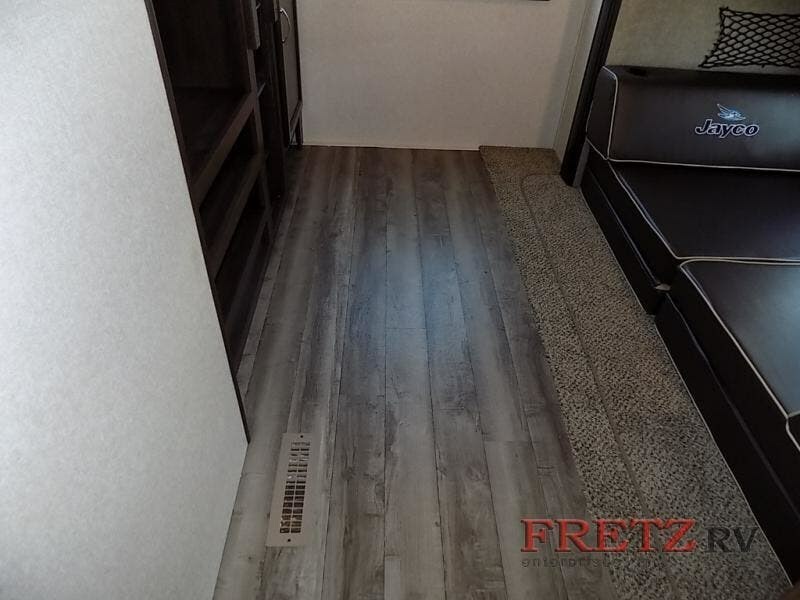 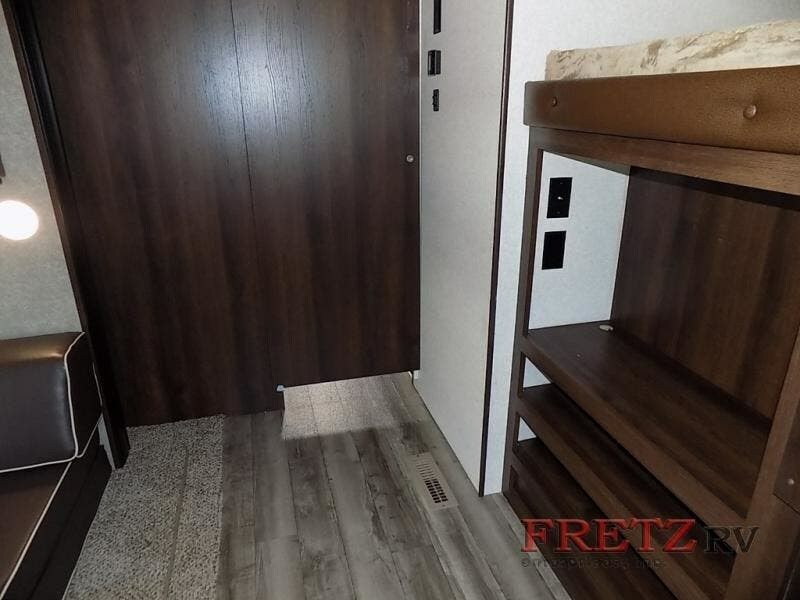 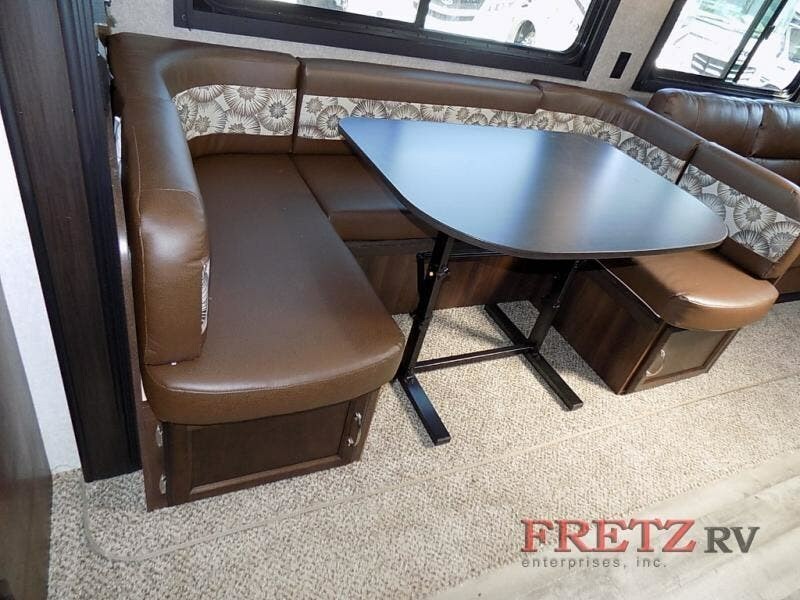 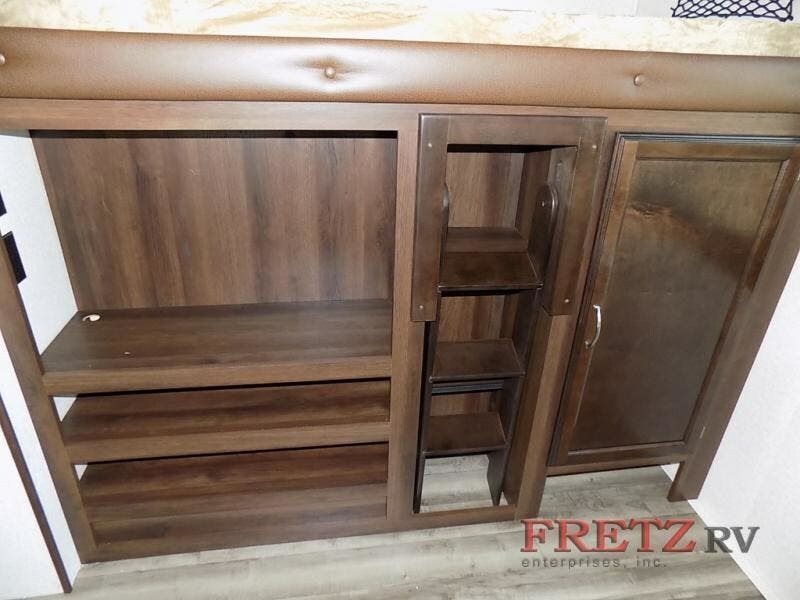 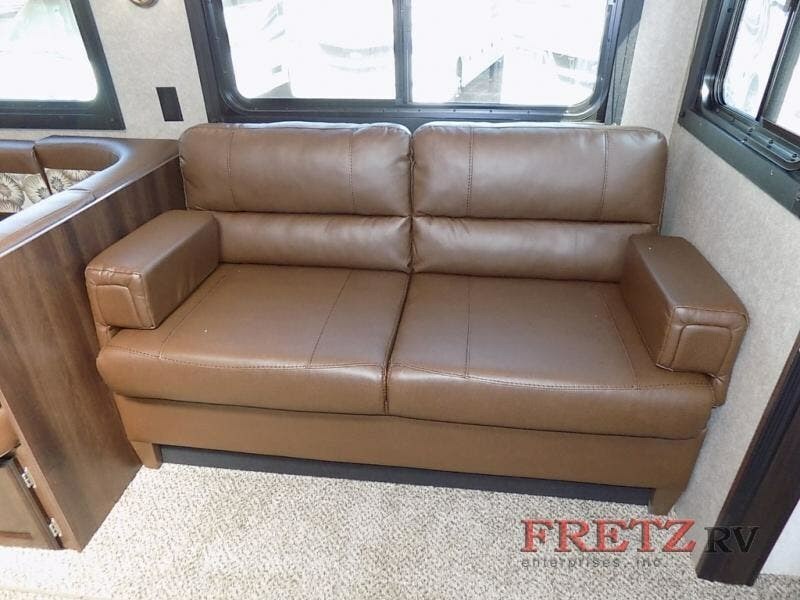 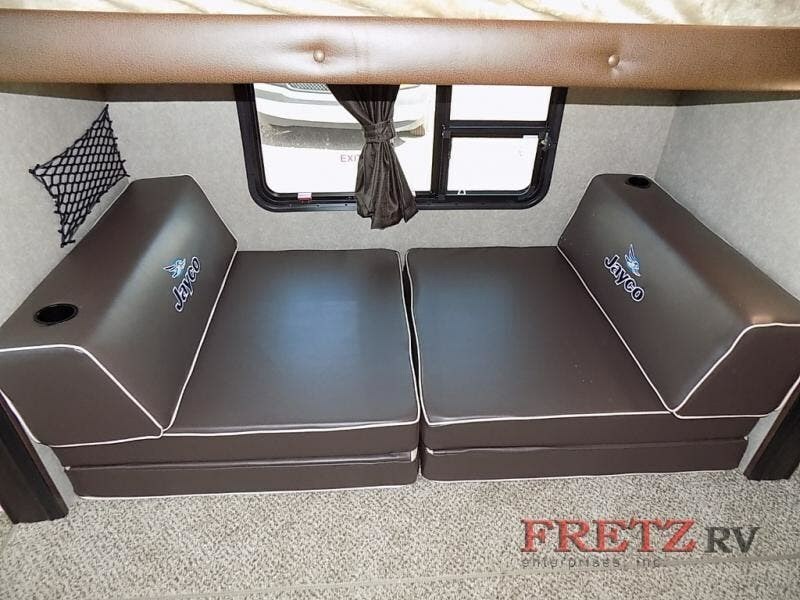 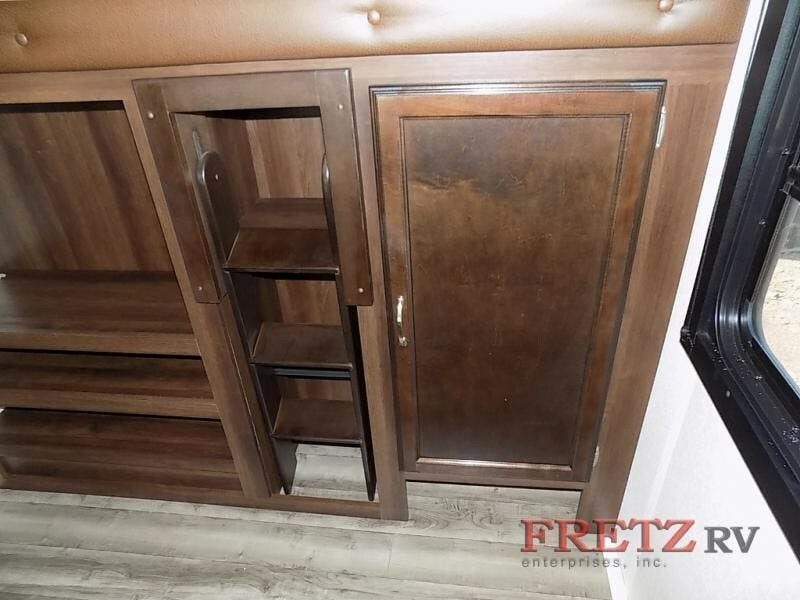 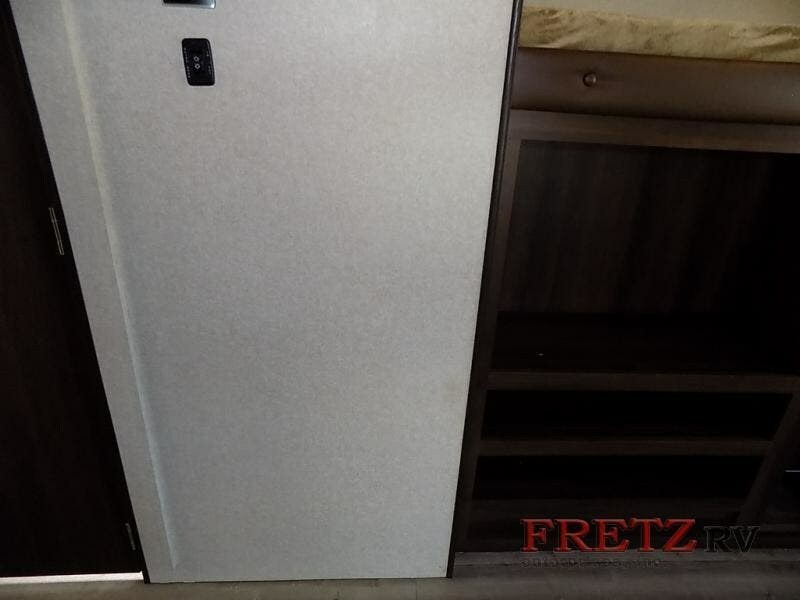 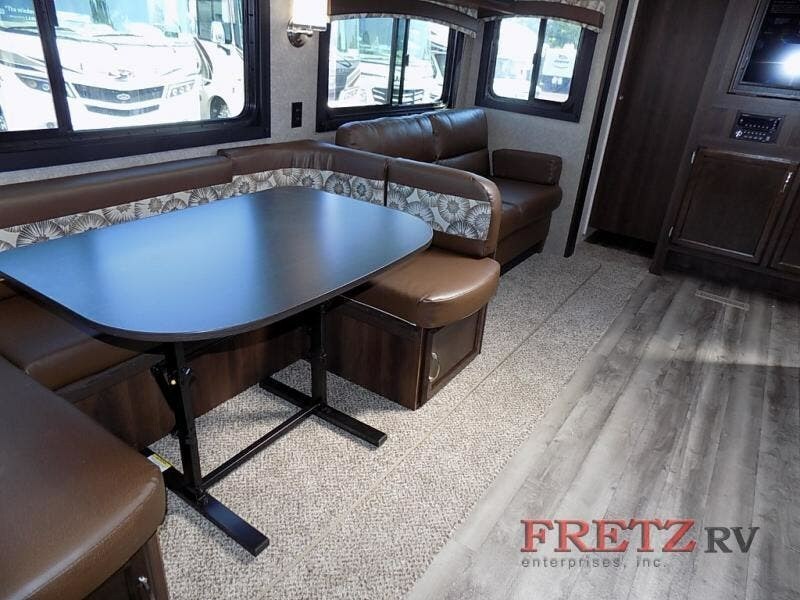 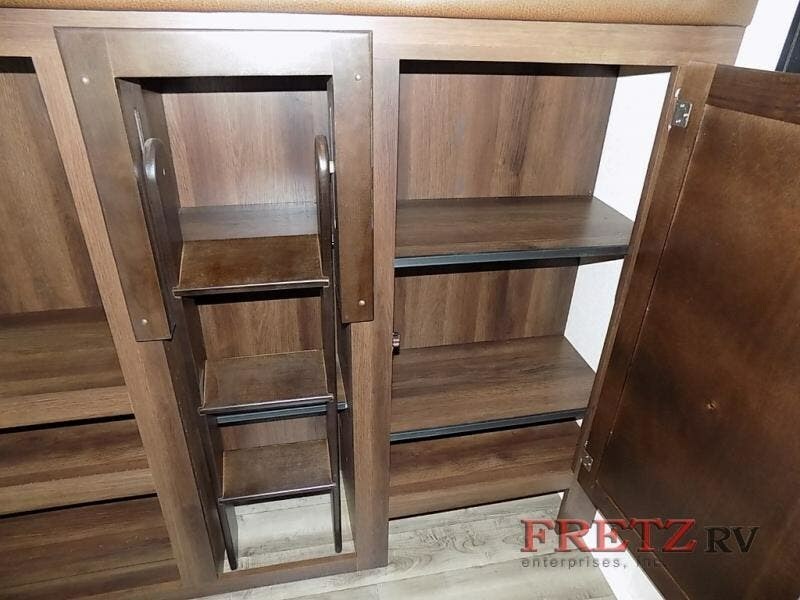 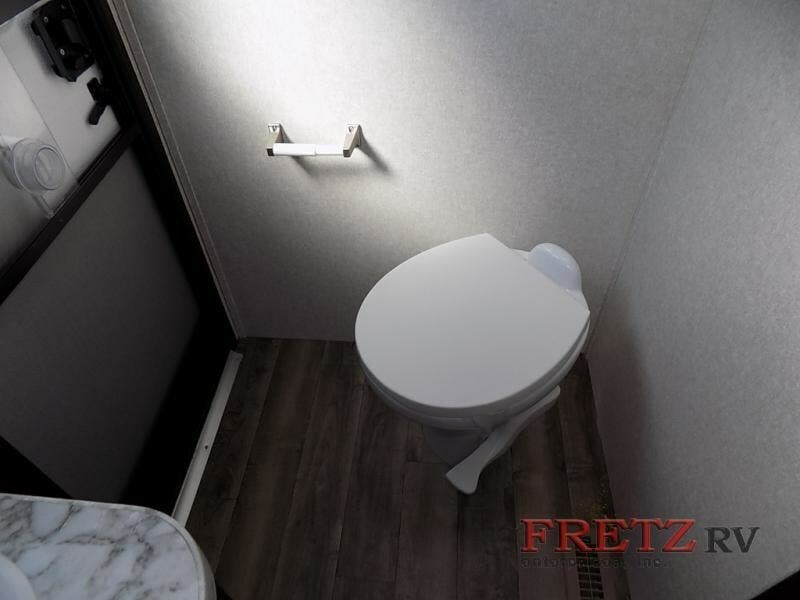 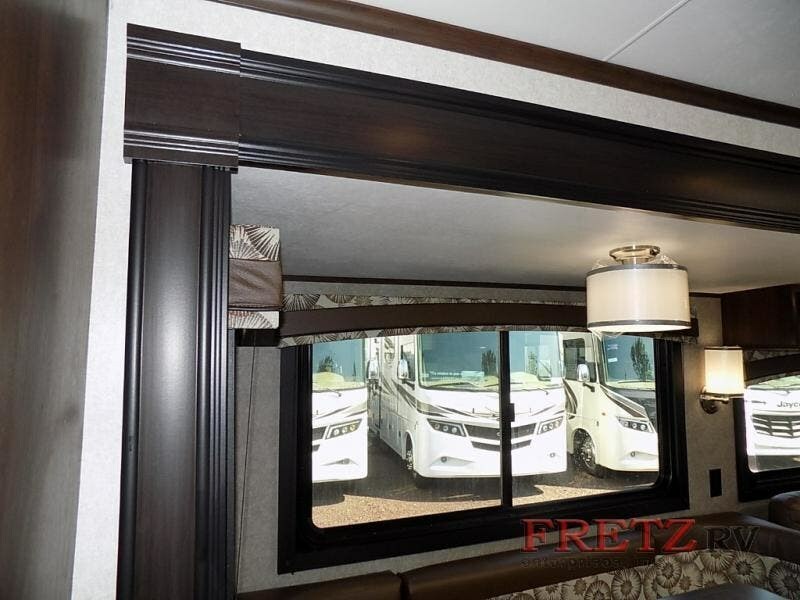 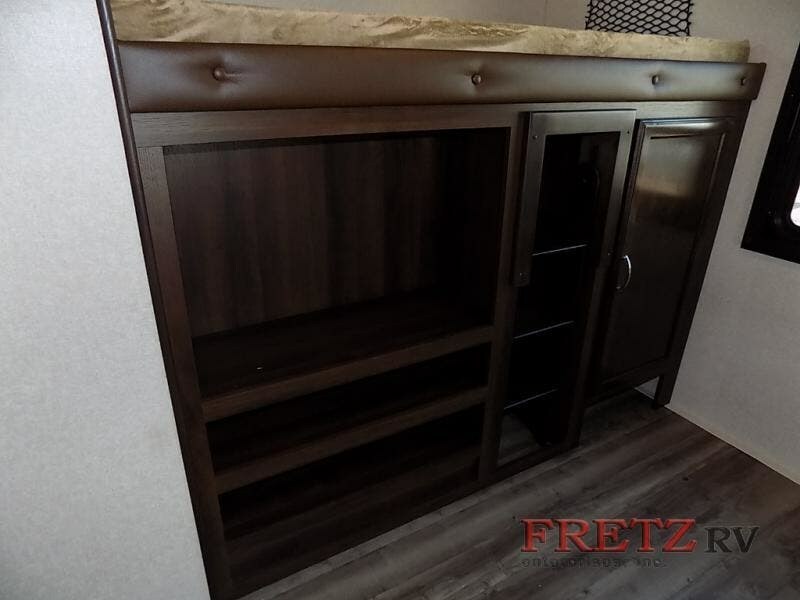 The living and kitchen areas offer a u-dinette and sofa slide or you can choose to have an optional hide-a-bed sofa if you need a bit more sleeping room. 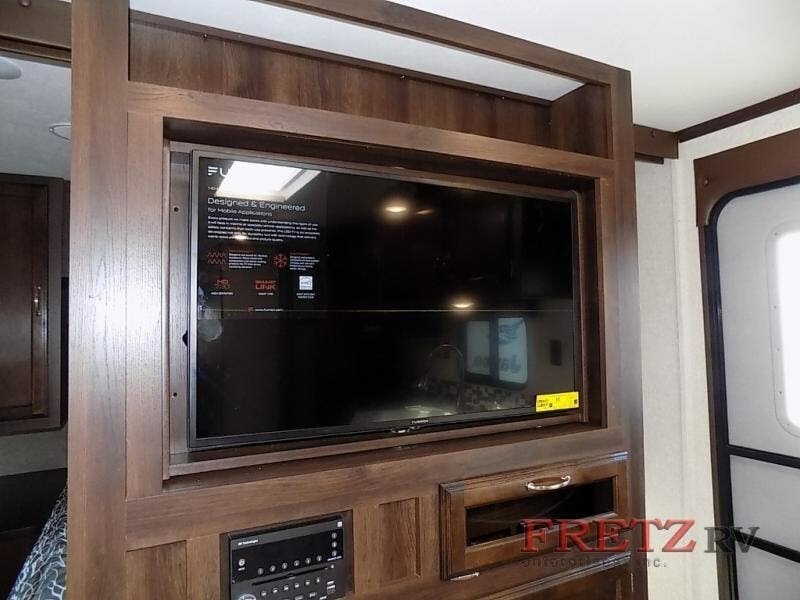 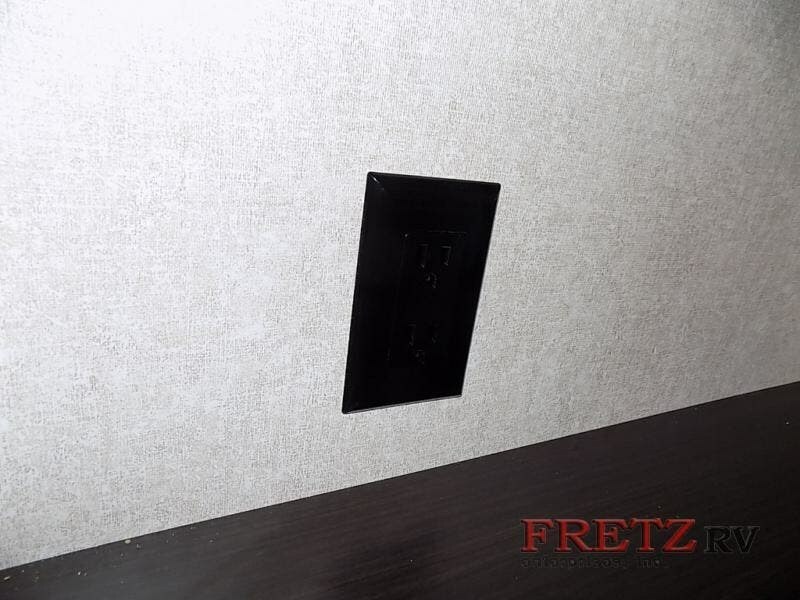 There is an entertainment center along the interior wall which faces the main living area. 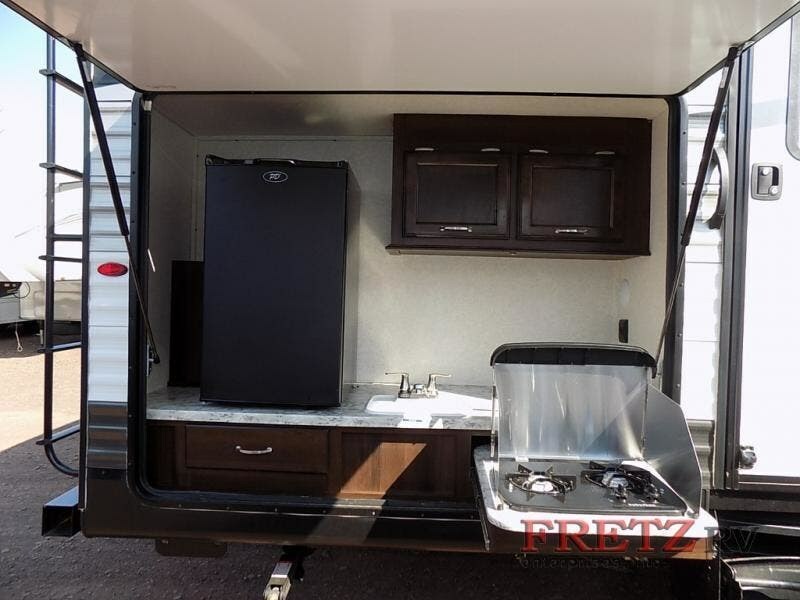 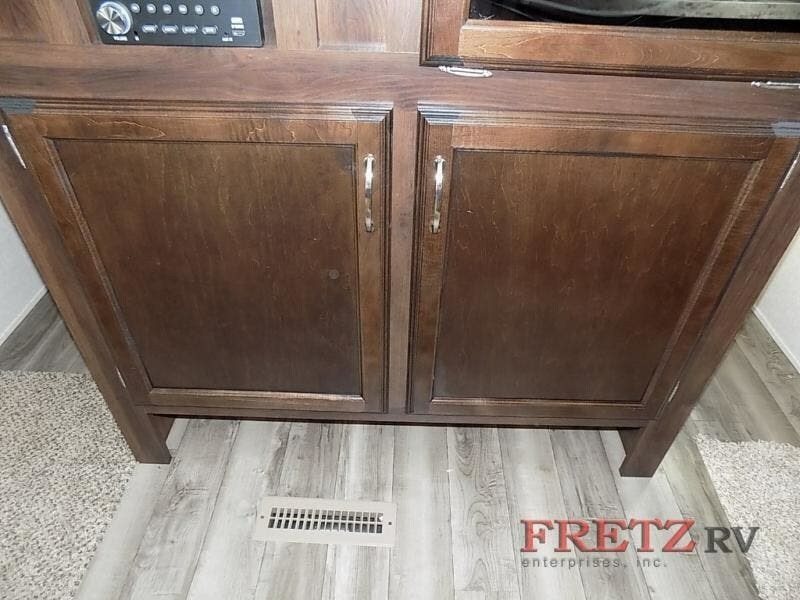 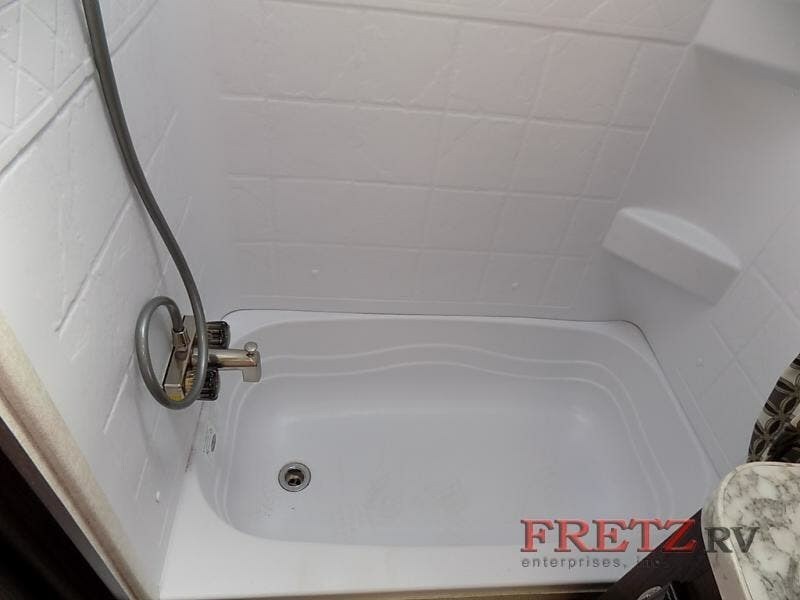 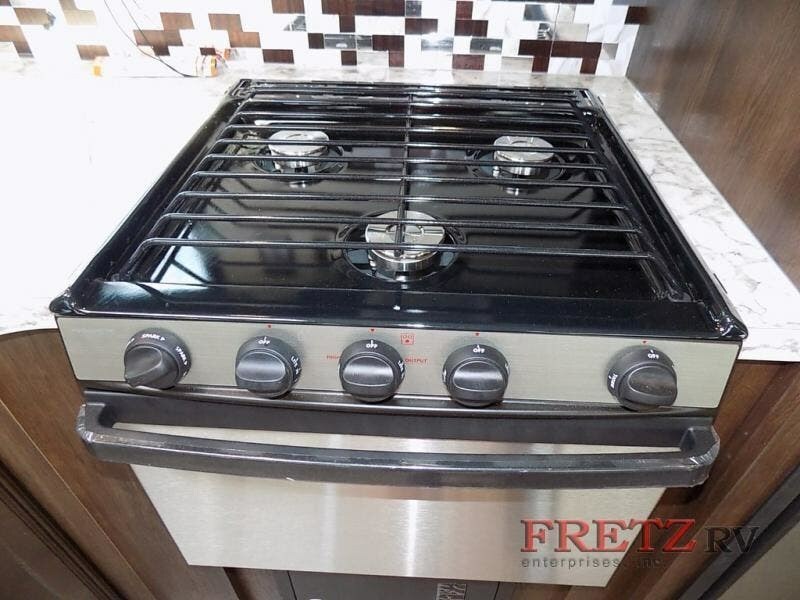 Along the curb side wall near the entry you will enjoy the double kitchen sink, three burner range, microwave, overhead cabinets for dishes, refrigerator, and pantry on any camping trip. 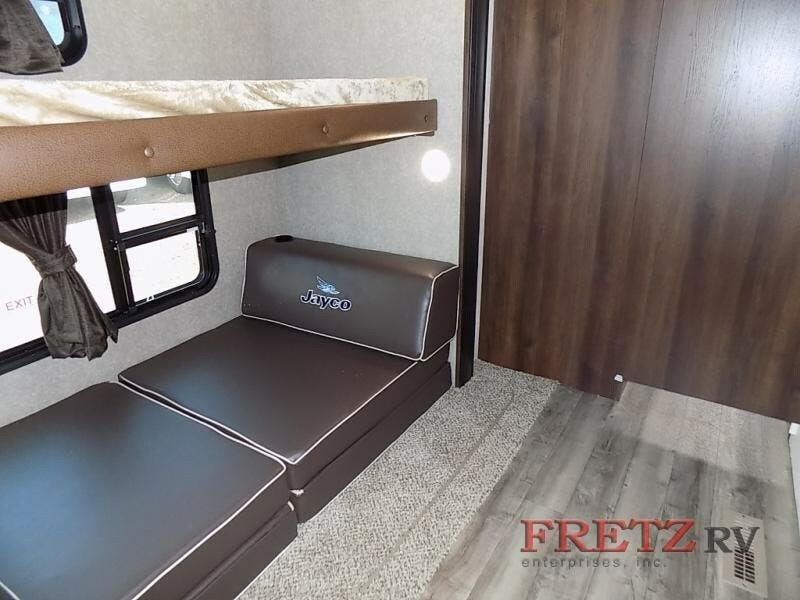 The rear bunkhouse is a place that your kids will feel like it is their own. 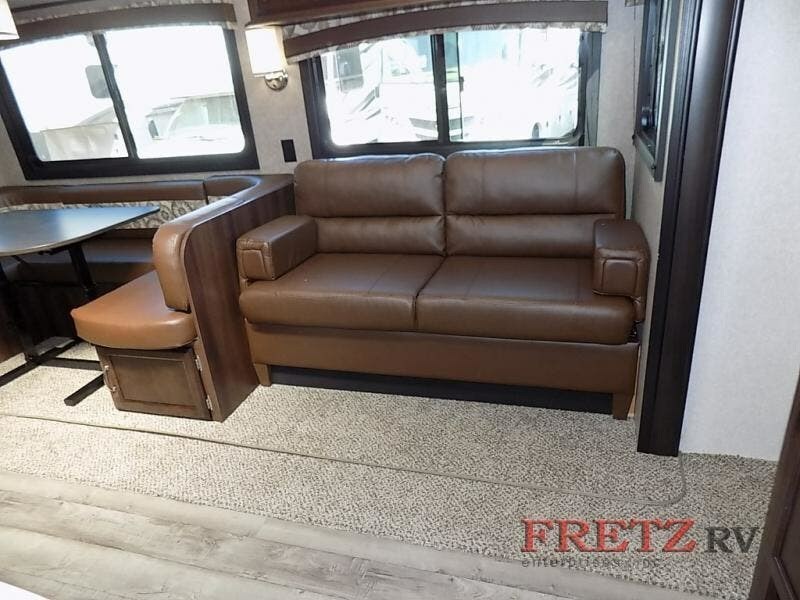 You will find a slide with a J-cube sofa on the bottom and a bunk above the sofa. 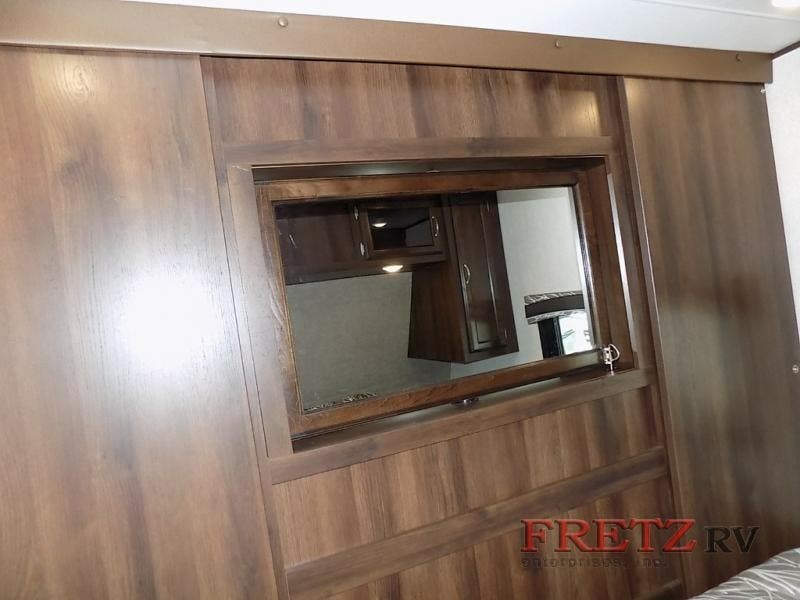 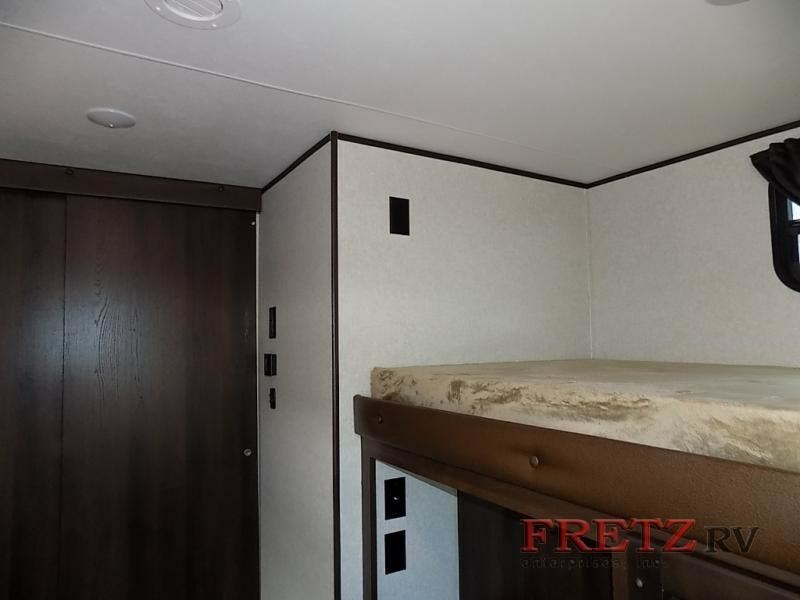 The opposite side has a TV/wardrobe with a bunk above. 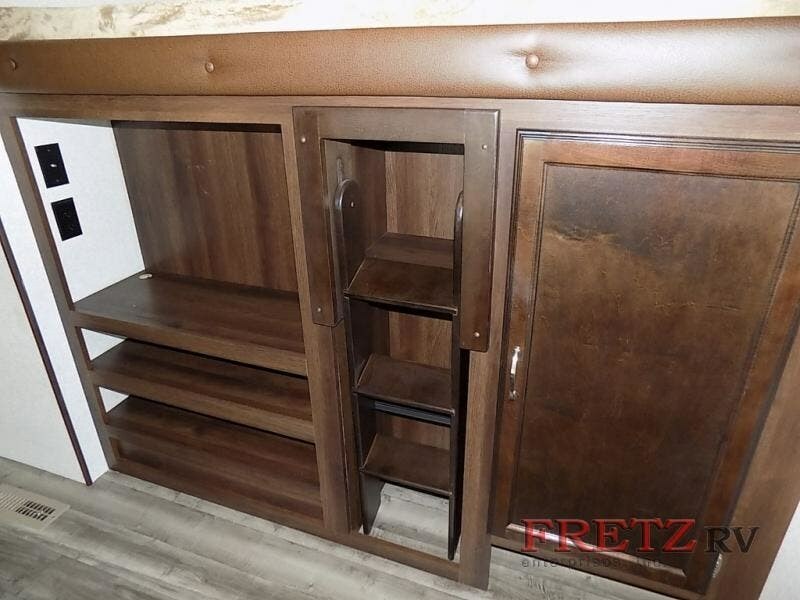 There is additional storage in the wardrobe outside the bunkhouse door. 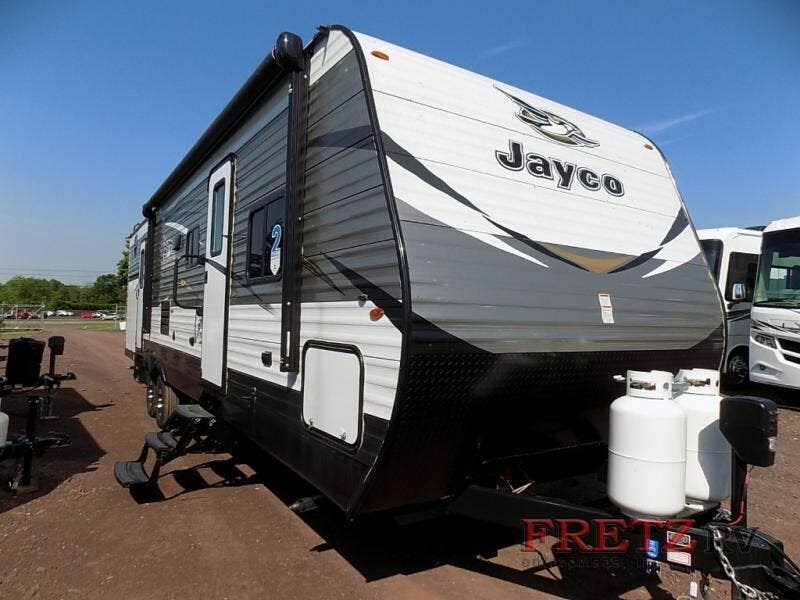 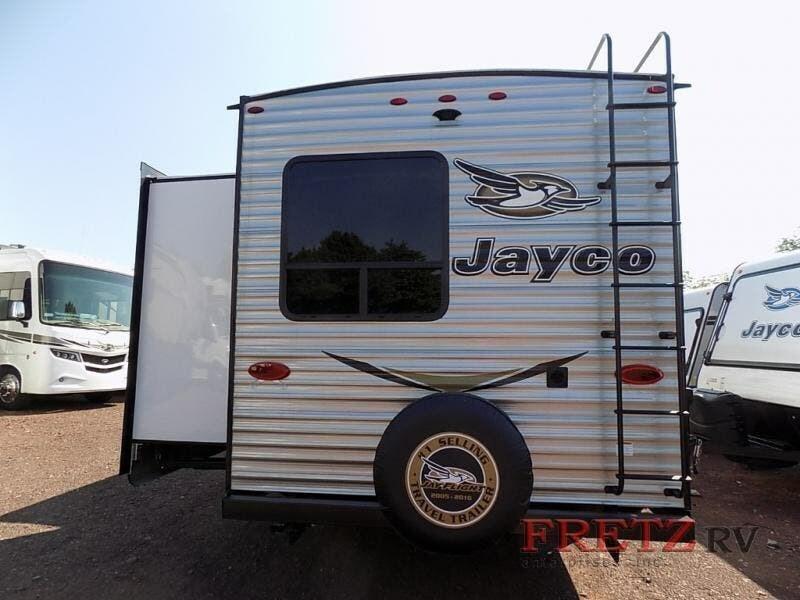 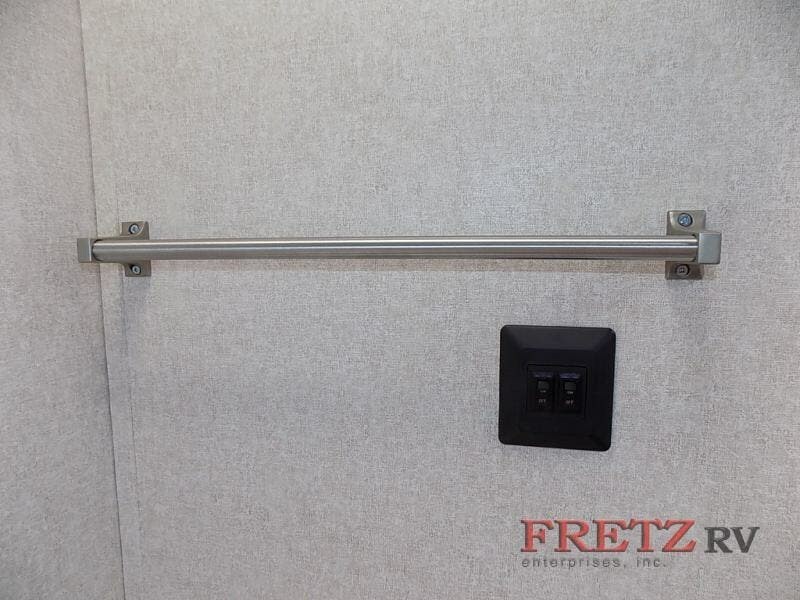 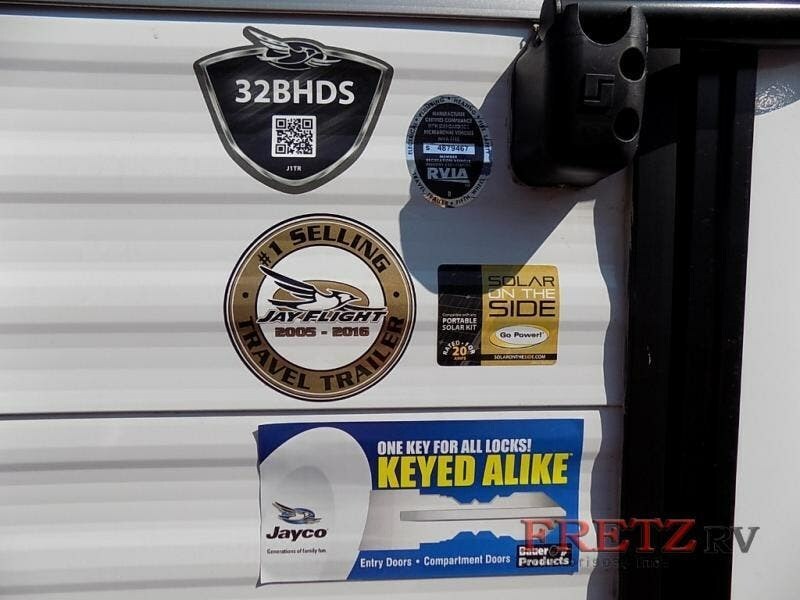 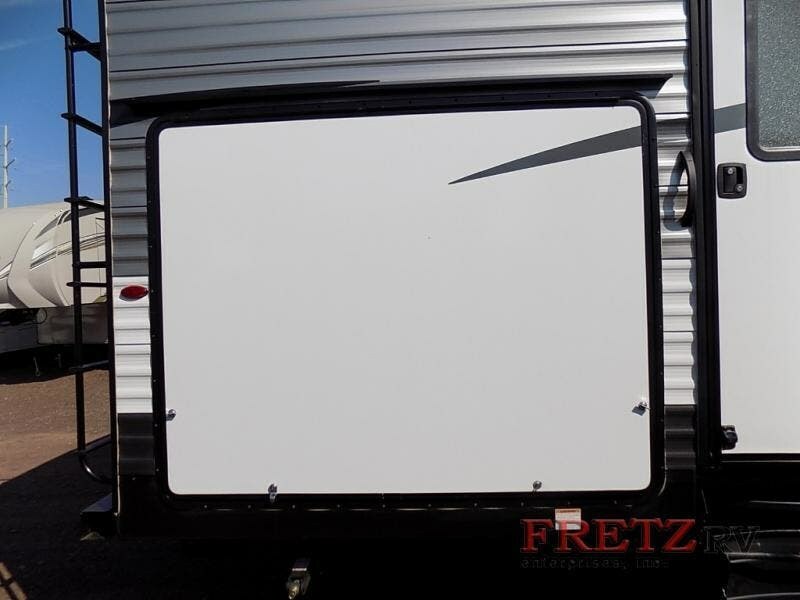 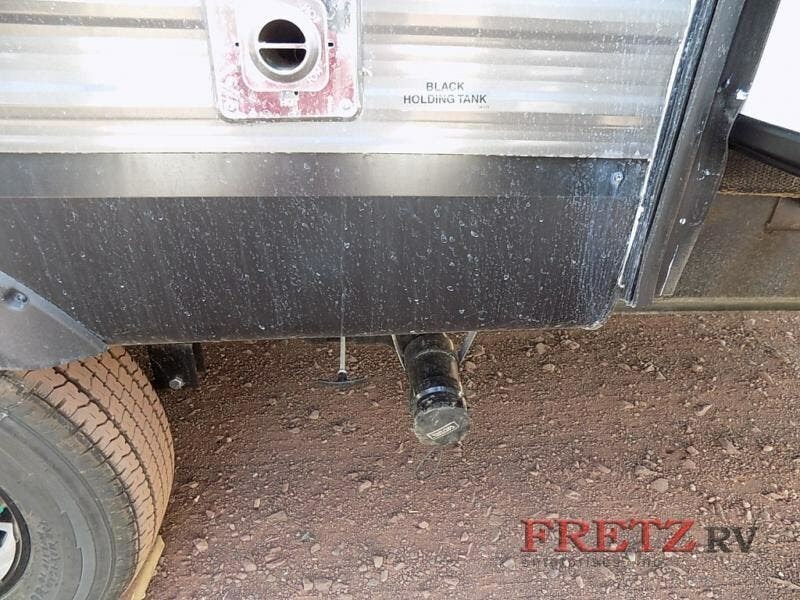 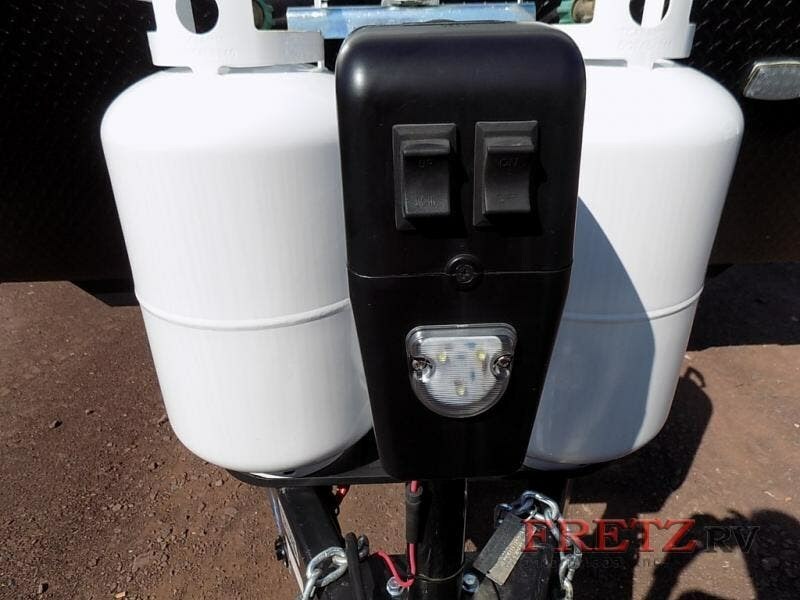 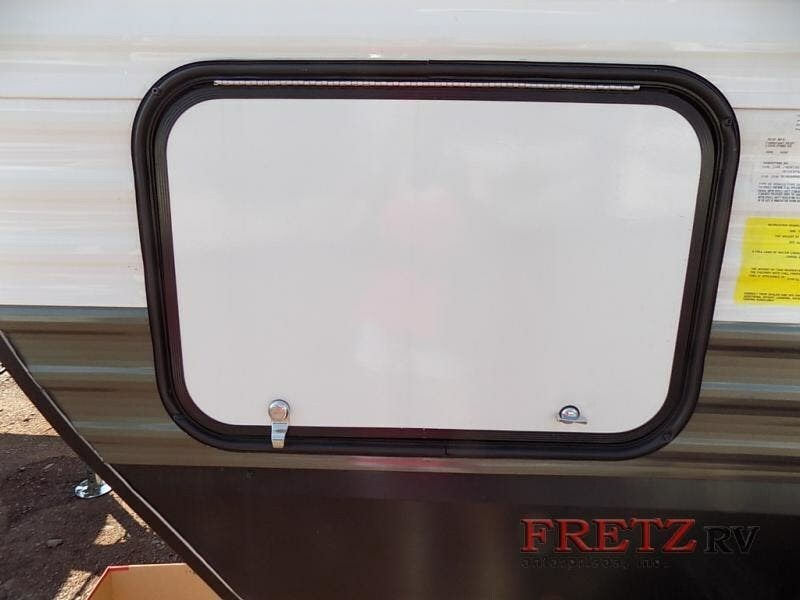 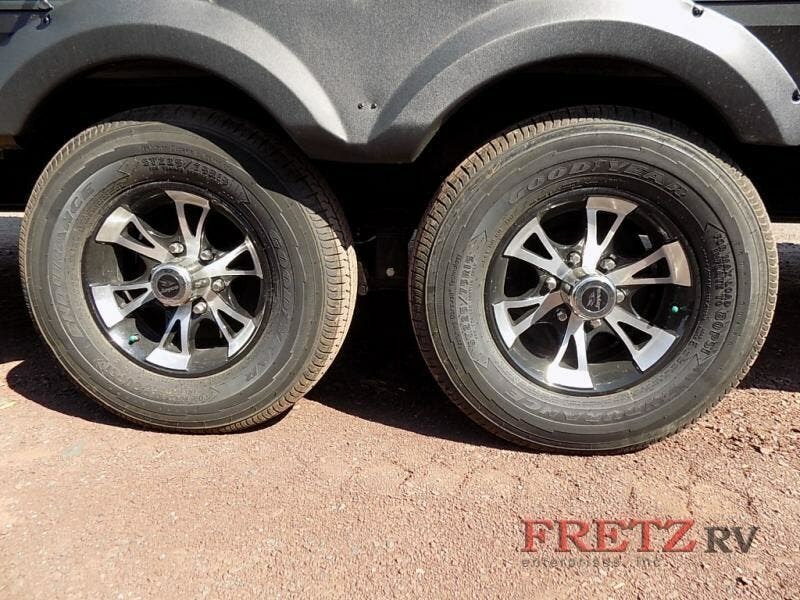 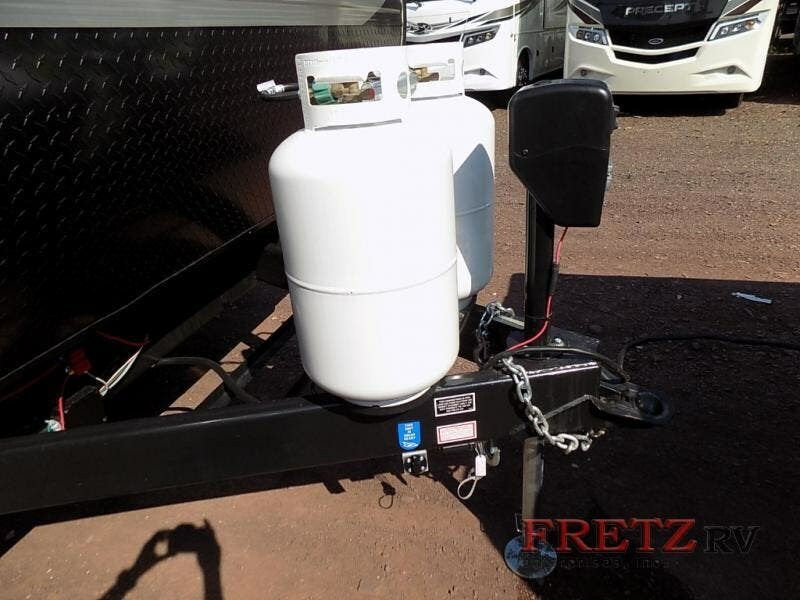 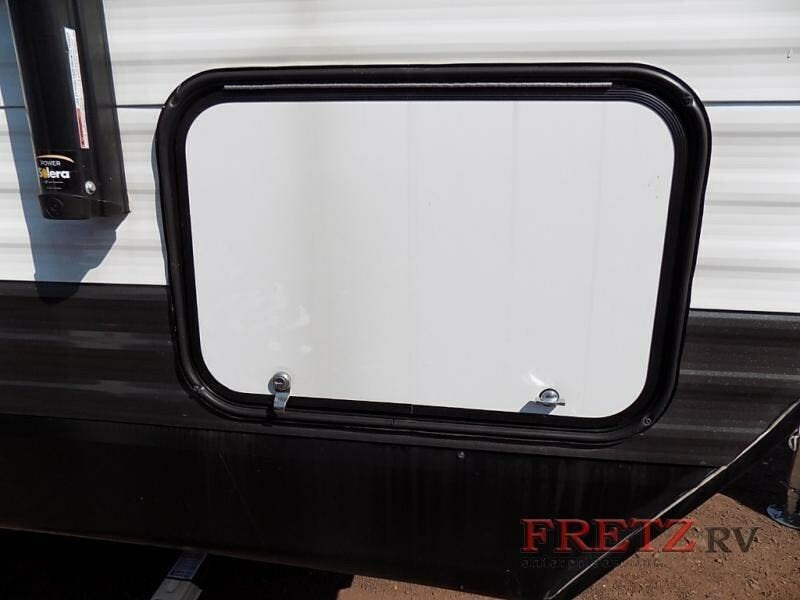 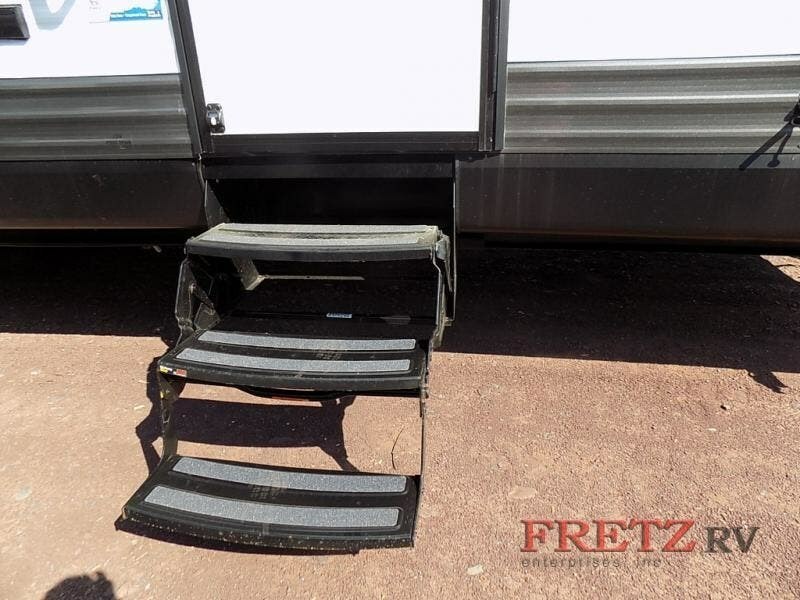 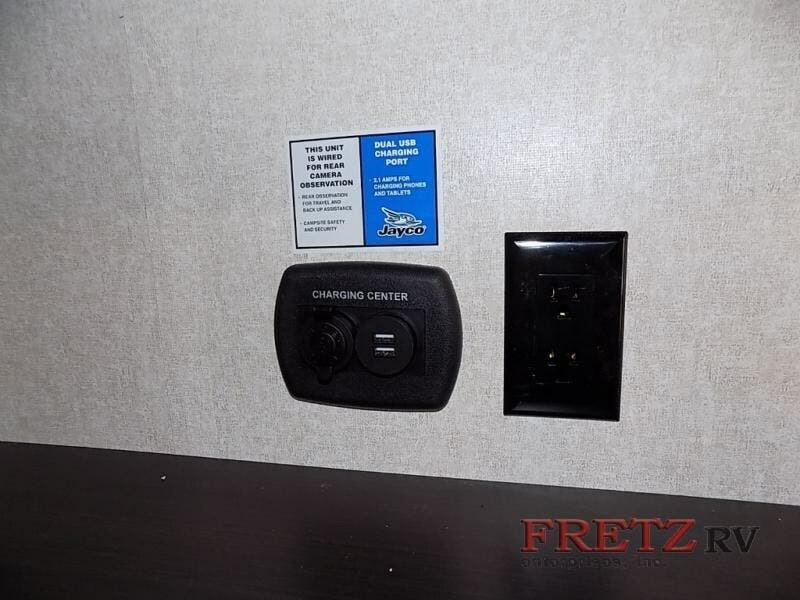 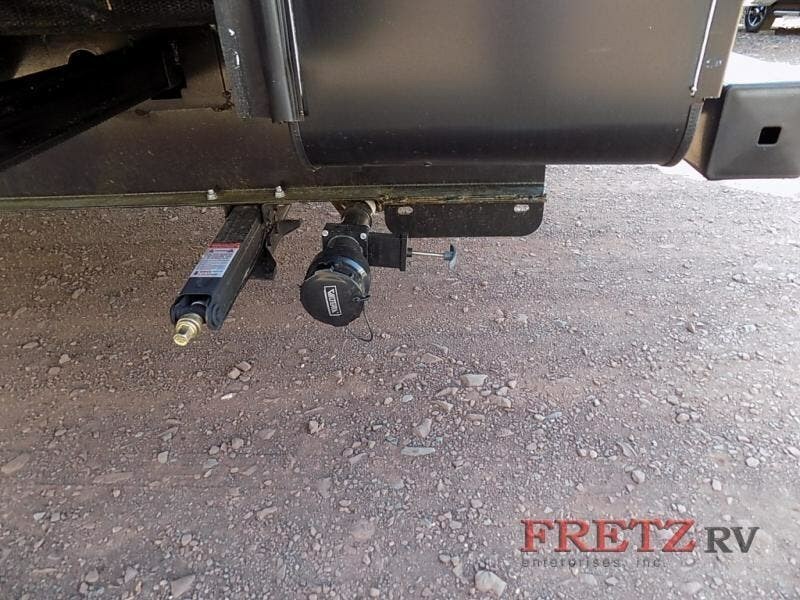 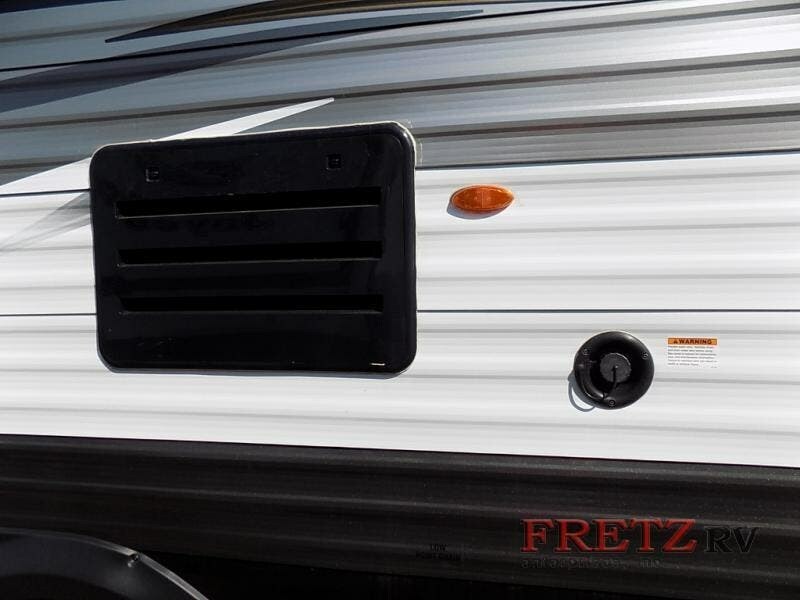 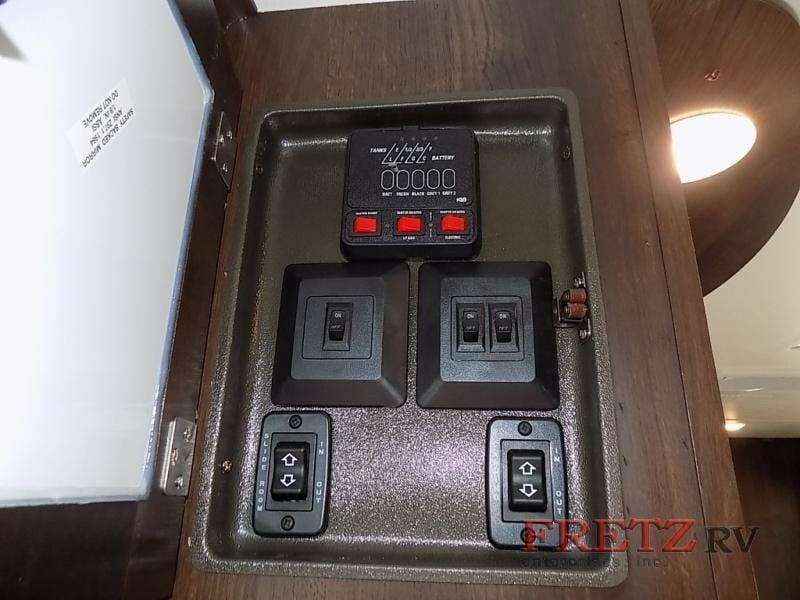 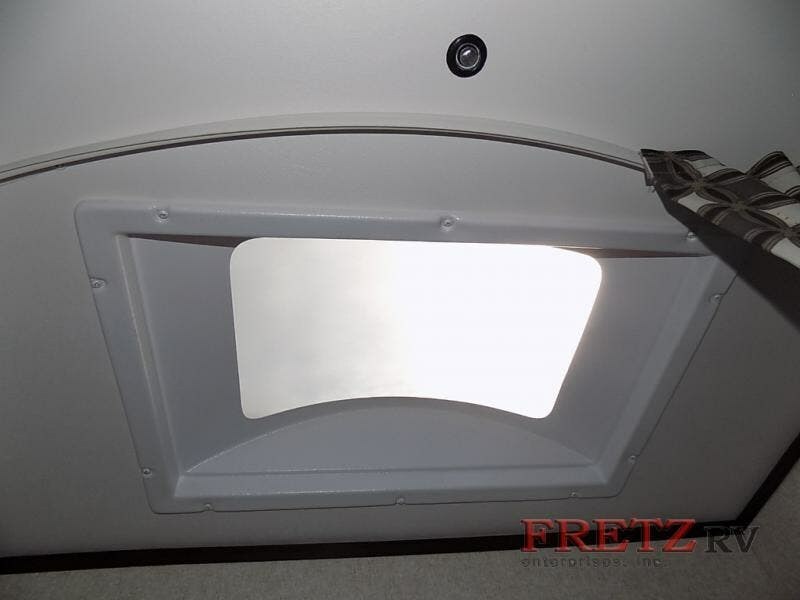 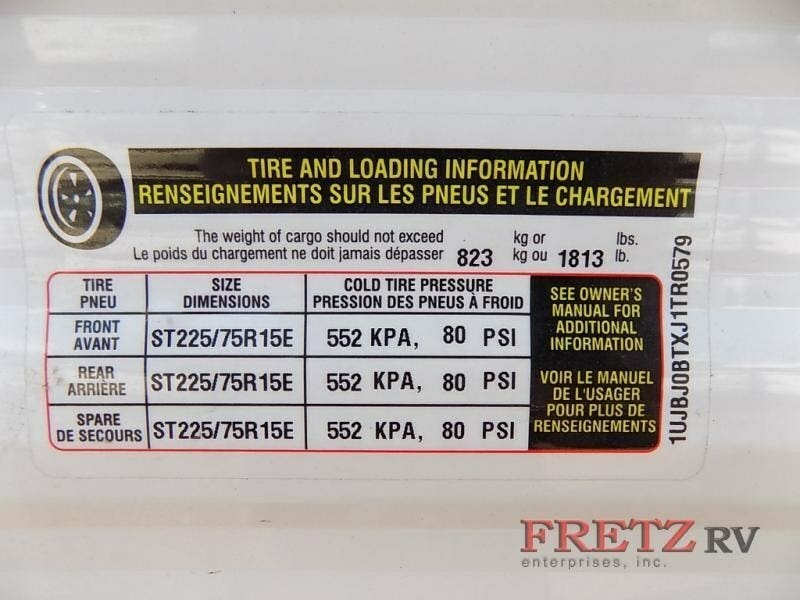 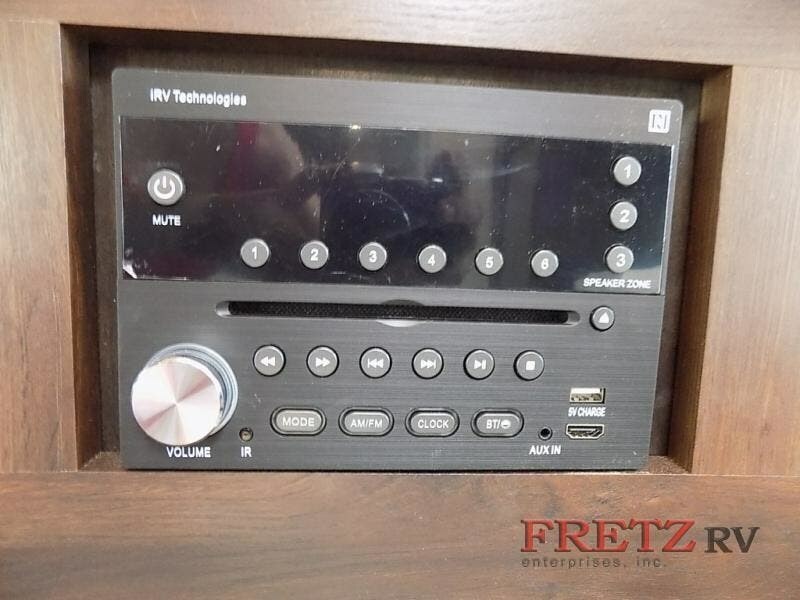 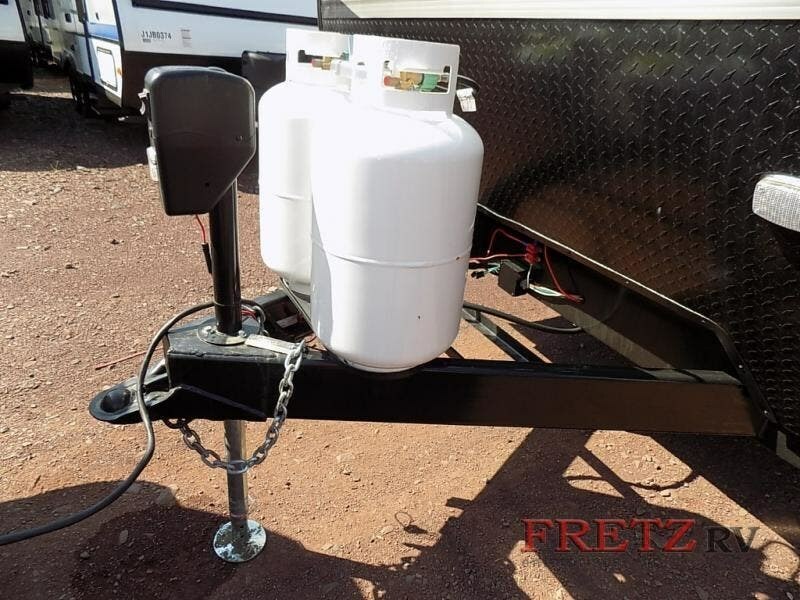 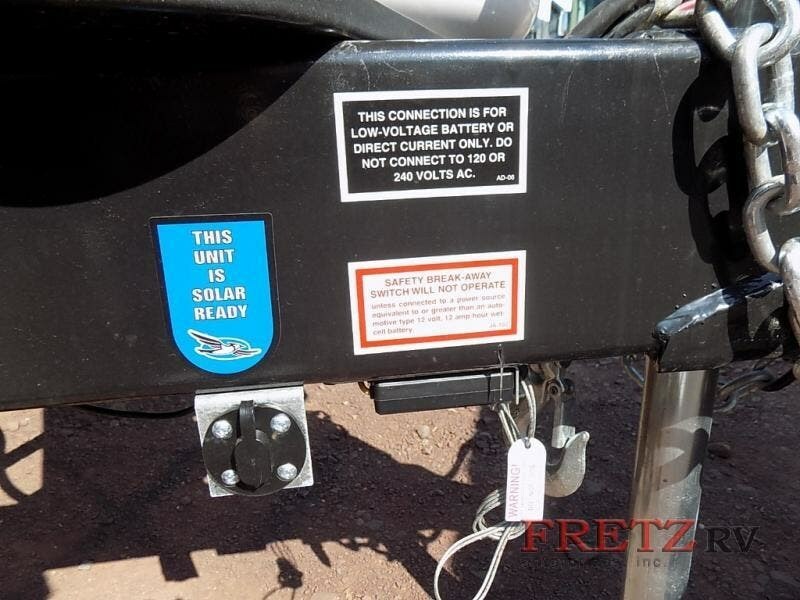 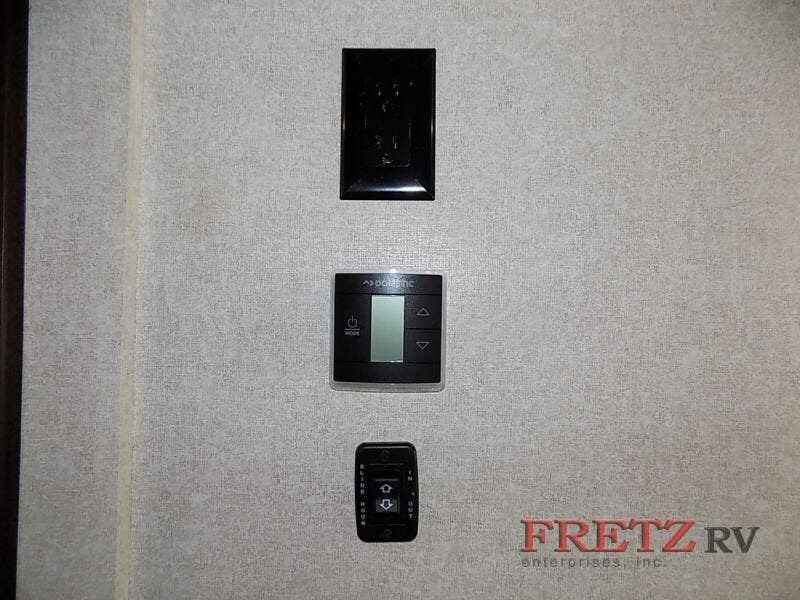 Check out Stock # 13572 - 2018 Jayco Jay Flight 32BHDS on jaycorvsource.com!